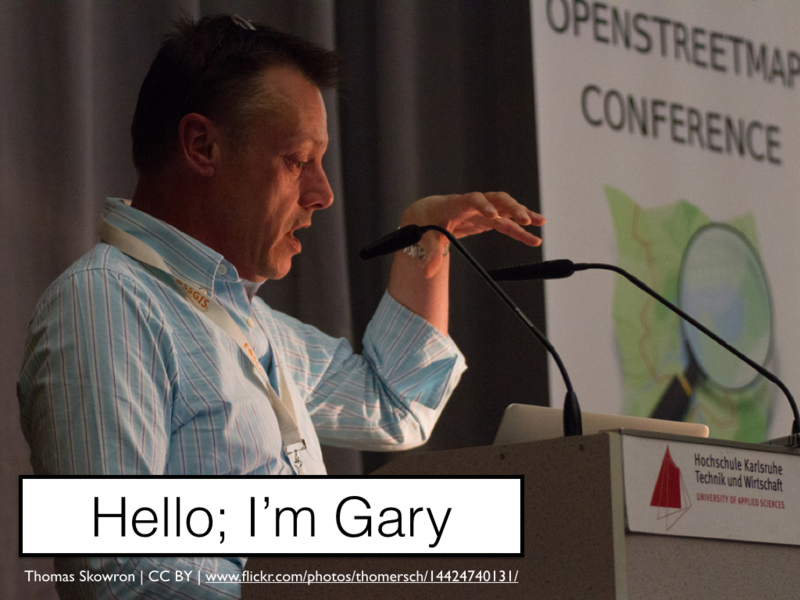 The geo industry has always been a fairly vaguely and nebulously defined industry and it takes a brave conference organiser to try and cover everything that’s geo related in a single conference. But that’s what GeoBusiness tries to do and it almost succeeds. This year’s conference agenda and trade booth sideshow managed to cover the whole lifecycle of all things geo, from dodging drones, centimetre accurate GPS devices and LIDAR cars outside the Business Design Centre in London, through use of geo-data, with far too much BIM for my personal tastes, through mapping and cartography and ending up with crowd sourcing mapping data and using maps for emergency responses. This year’s high points were a jaw dropping talk on using airborne remote sensing to search for illicit nuclear explosions, surely a first for any conference I’ve been to, if only for the title alone and Chris Sheldrick from what3words recapping his talk on addressing the world. Less than high points were conference coffee that tasted like it had been brewed the month before and wifi that recalled the heady days of a 19.2K baud rate dial up modem. Thankfully the impending coffee emergency was prevented thanks to an espresso machine in the middle of the Leica exhibition stand and some rather fine coffee shops around the conference centre. 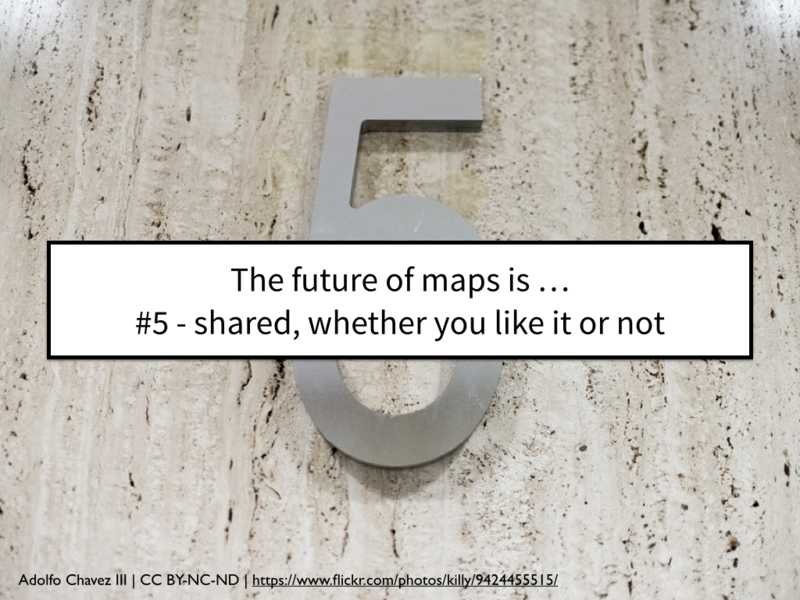 And sandwiched neatly between a talk on how capturing geospatial data is less about data and more about knowledge and a talk about wearable GIS technology was my talk about the future of maps and what that might look like. 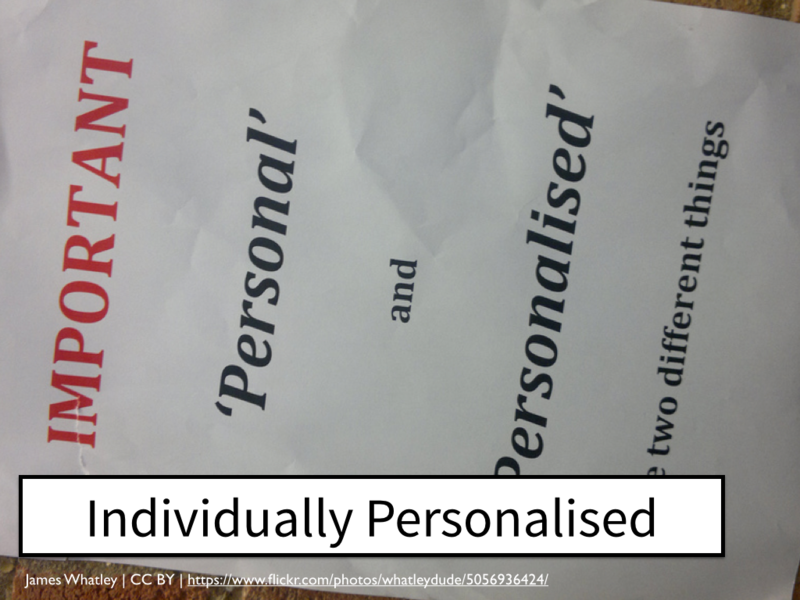 So in time honoured fashion, my slides and notes are below. 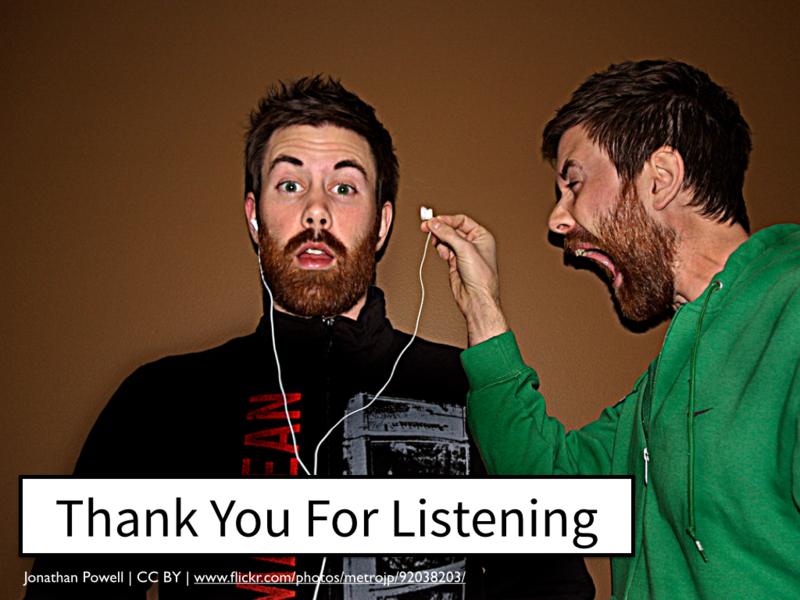 There’s quite a lot of slides in this talk and some of them contain URLs. Rather than try and frantically jot them down, this is the only URL you might want to take note of. It’s where the slides and my notes will be appearing. If you go to this address right now there’s nothing there but tomorrow when I get home, this is where things will automagically appear. 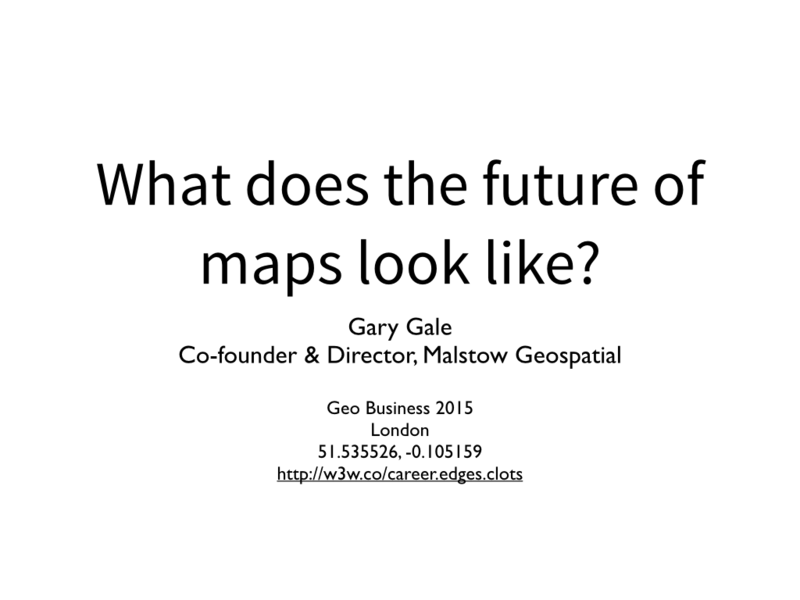 This talk is all about maps and what the medium term future of maps might look like. This means me making predictions and predictions are really easy to get right. No, wait. 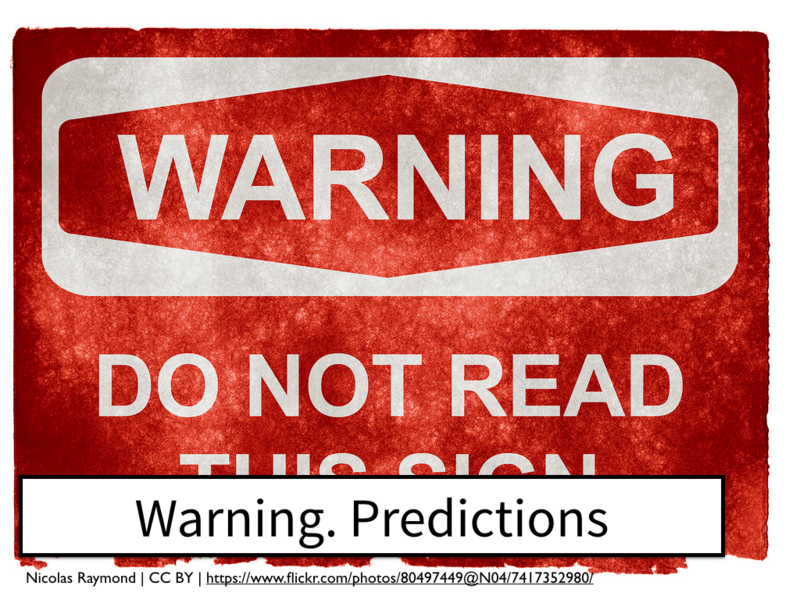 Predictions are really hard. 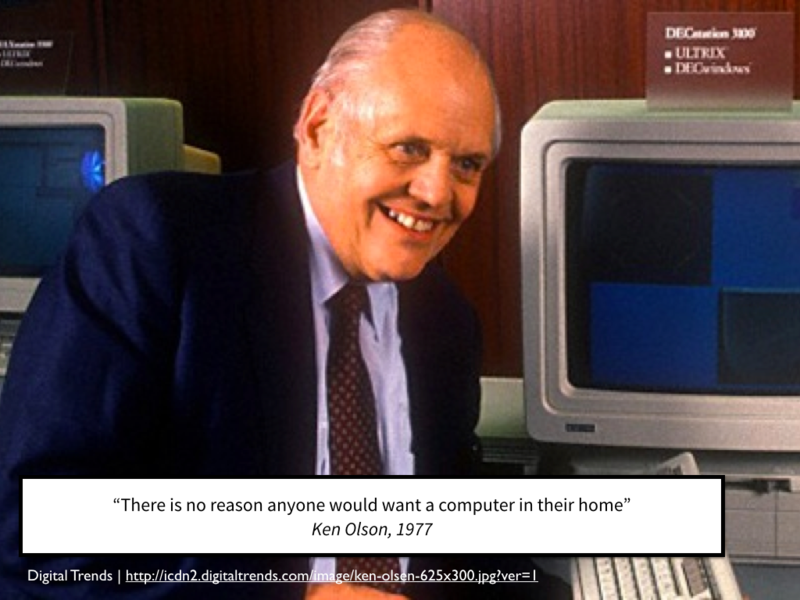 Take Ken Olsen, the founder of Digital Equipment Corporation and in 1977 one of the major purveyors of mini-computers, who couldn’t see why anyone would want one of these new fangled computer things in their home. 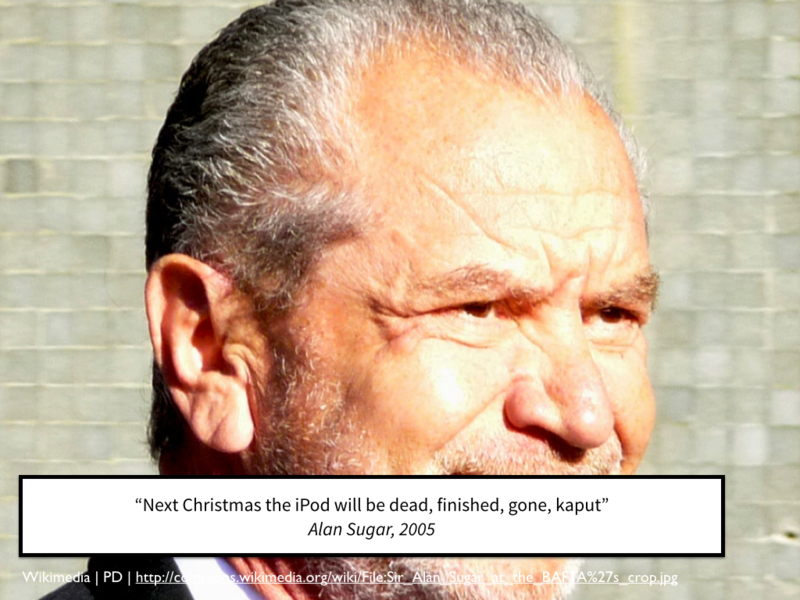 And let’s not forgive or forget Amstrad founder and apprentice firer Alan Sugar who didn’t think the iPod would be around for a long time. 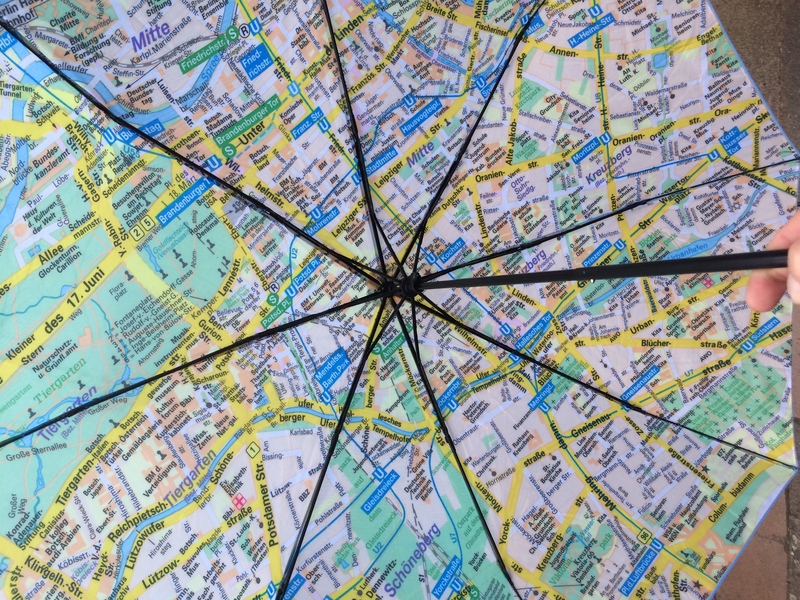 Although the number of us buying printed maps is in decline, there’s still a significant market for the good old fashioned, difficult to fold up, prone to gusts of wind, disintegrating when wet, paper map. But even though the most analog form of maps arrive at the book shop or in the post, clean, crisp and freshly printed, they were still produced from a store of digital map data. 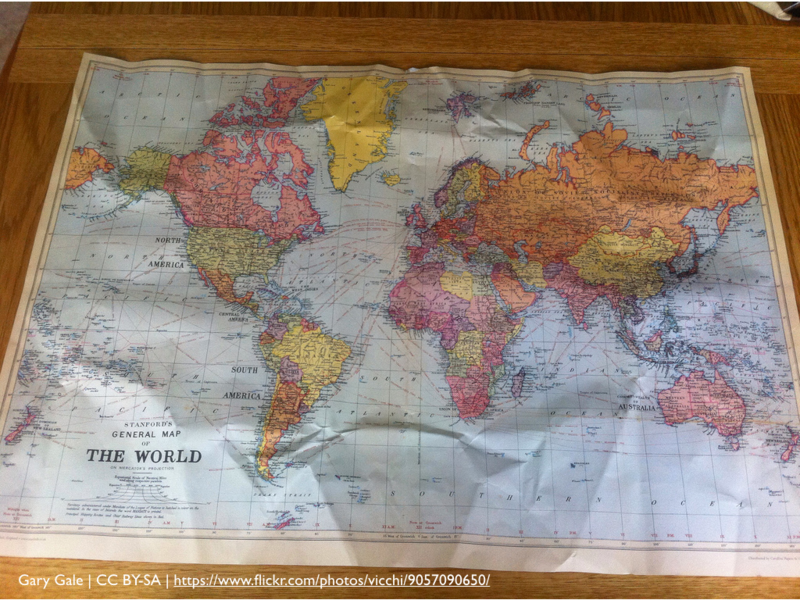 Printed maps can only hold so much information. 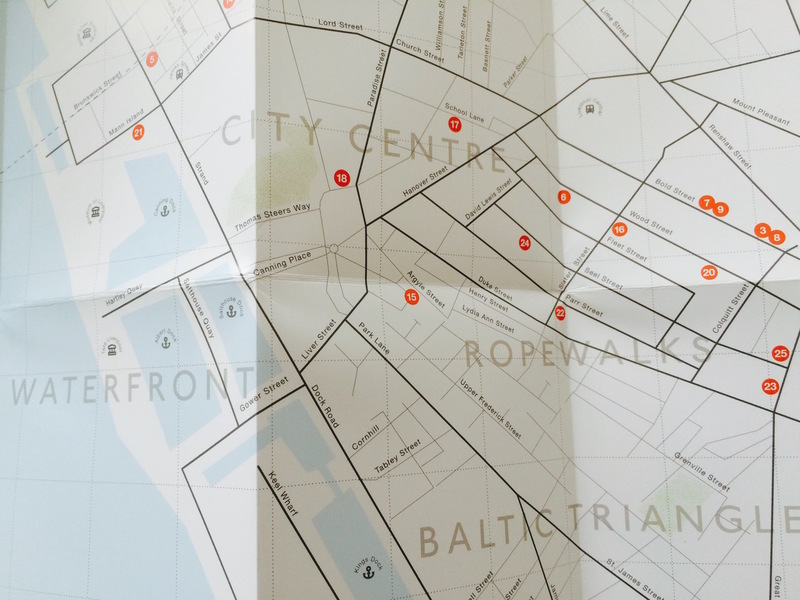 They are a triumph of cartography that allows so much information to be represented in a static form. 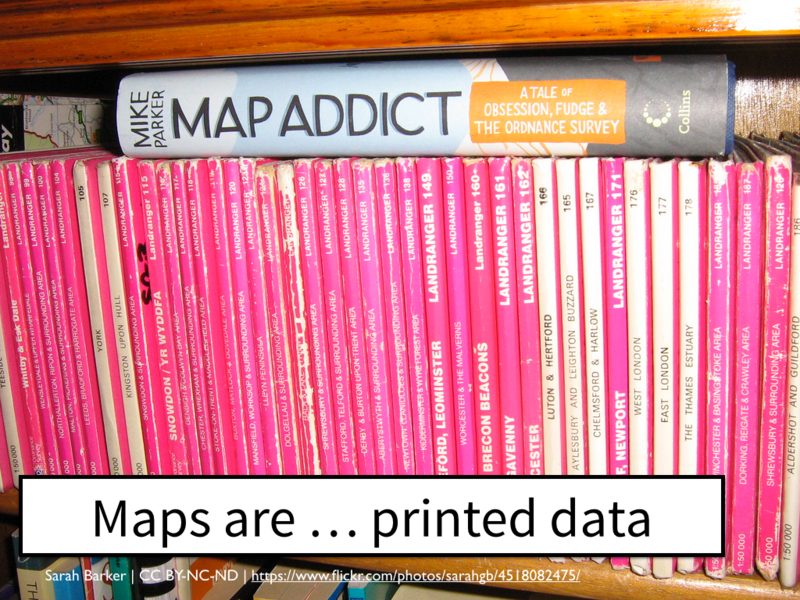 Printed maps don’t change, until you buy a more recent edition. 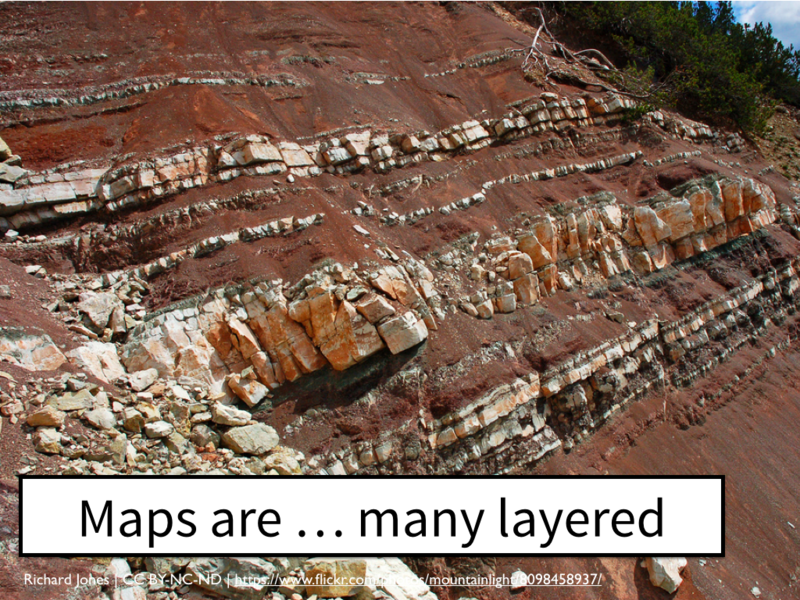 But true digital maps, the ones we see and use on our laptops, on our tablets and on our phones are a many layered creation. A layer for the base map and multiple layers for all the other information we’re used to seeing on a map. 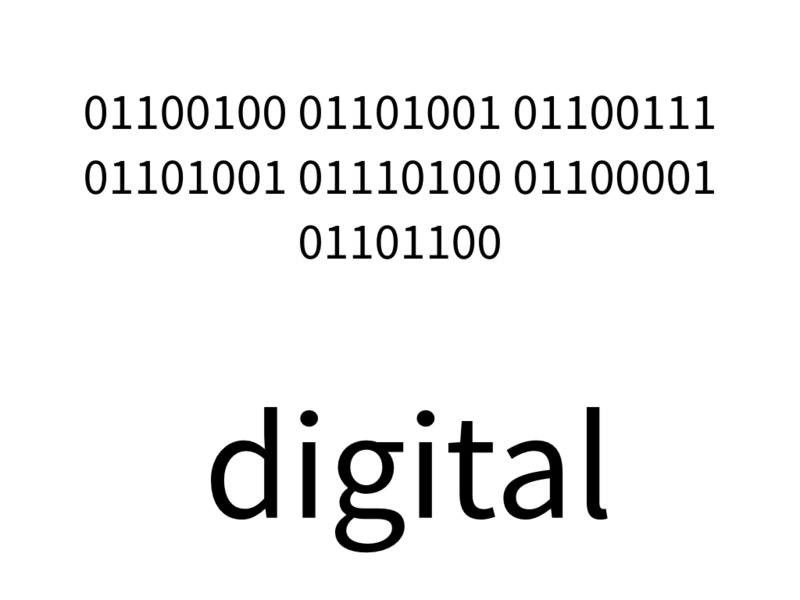 Take a standard digital map, one we’re all familiar with. I’ve used Google as an example here, but there’s many others, including MapQuest, Bing, HERE and Yahoo! In addition to the map backdrop, which is the closest analog to the printed map, you can pan and zoom these digital maps, with the mouse or with your fingers, almost as if you have an unending supply of paper maps at different scales, hidden just behind your screen. 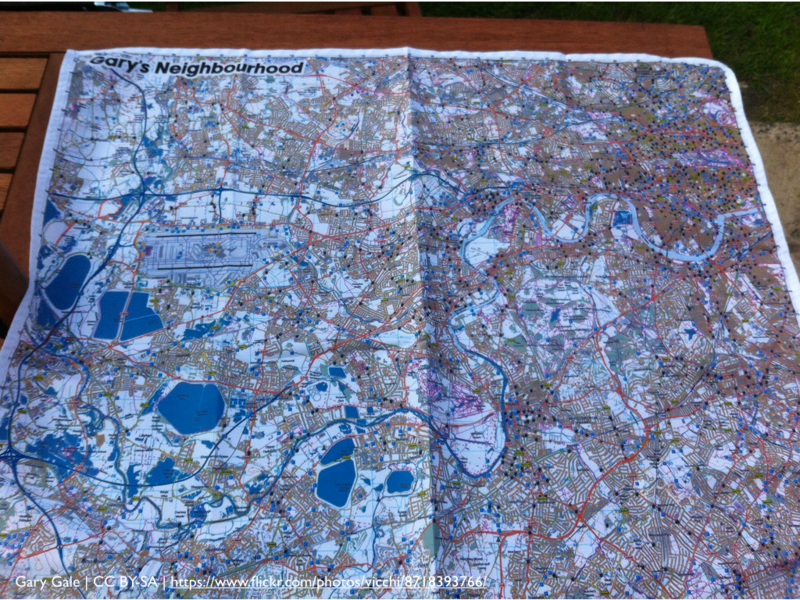 But this is also the last point where the comparison with paper maps still holds true. 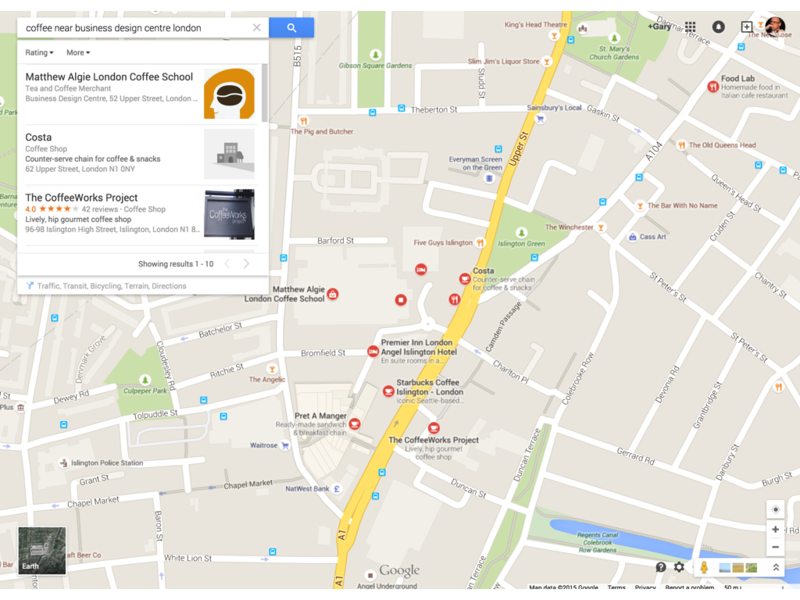 Digital maps are searchable. 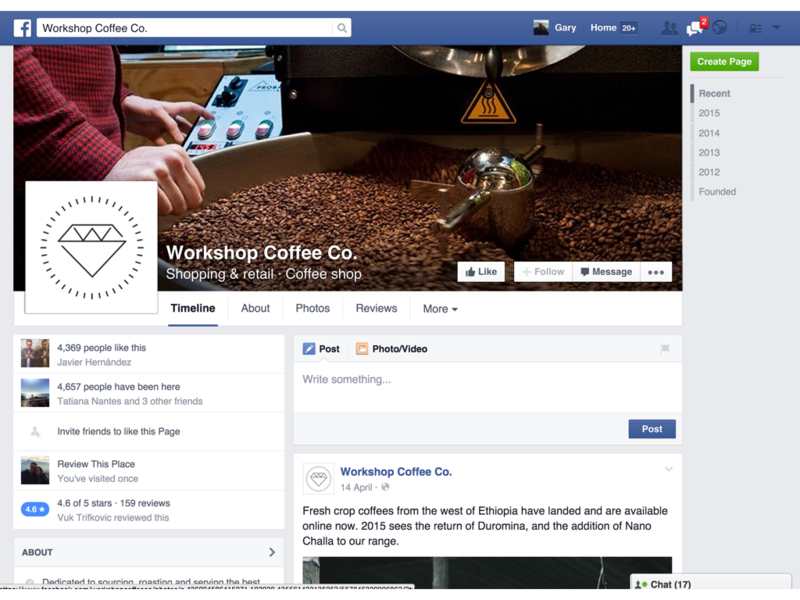 You tap or type in what you’re looking for, either a point of interest name, an address or a post code or something a bit more nebulous, like when you’re looking for a good cup of coffee nearby. Because a digital map has almost infinite layers, you can show and hide information which might be useful to you, such as what the traffic is like. If driving isn’t your thing, you can also layer on public transport information, like the London Underground. 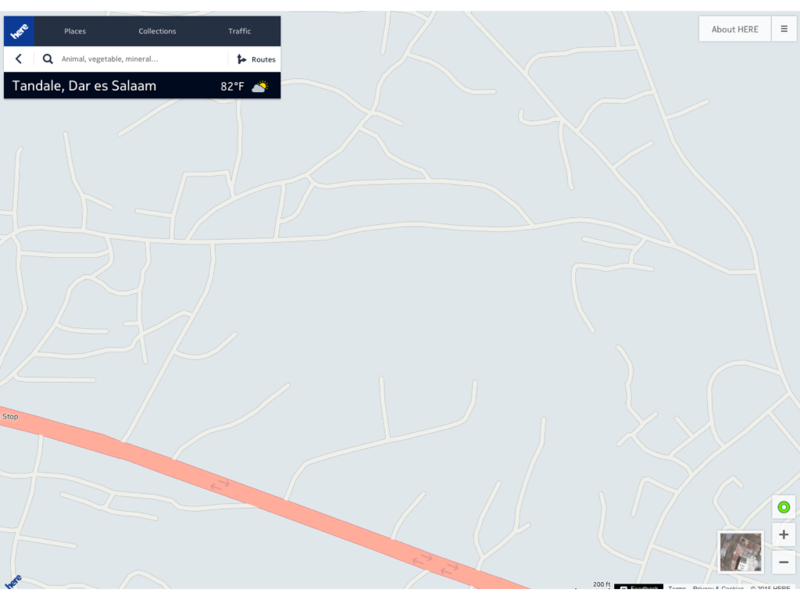 And lastly, because you’re viewing a map on some form of hardware that can work out where you are, with varying degrees of accuracy, you can also use these location sensors to position the map to where you are, right now. 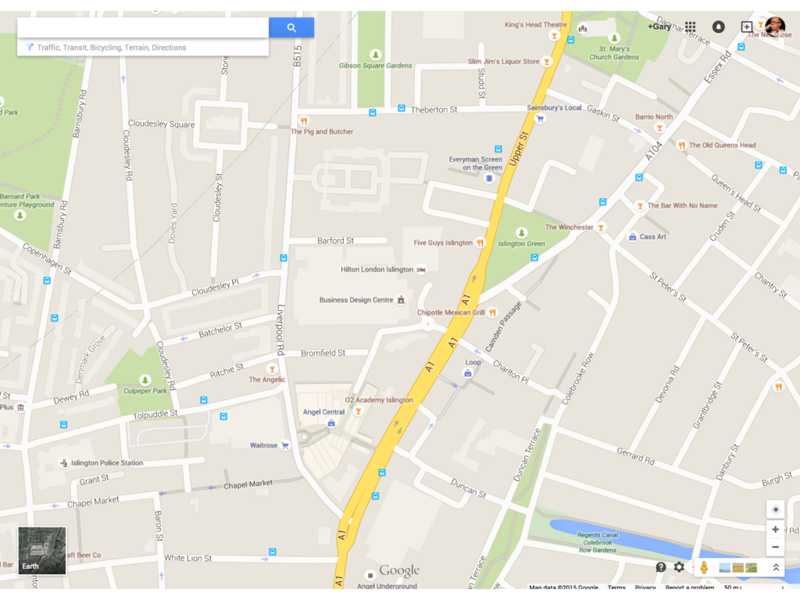 This is today’s digital map, a rich, many layered, sensor and position aware, searchable map. This is what it looks like today, in its many and varied forms. But what will it look like tomorrow? What 10 things will today’s map look like, do or offer in the future? 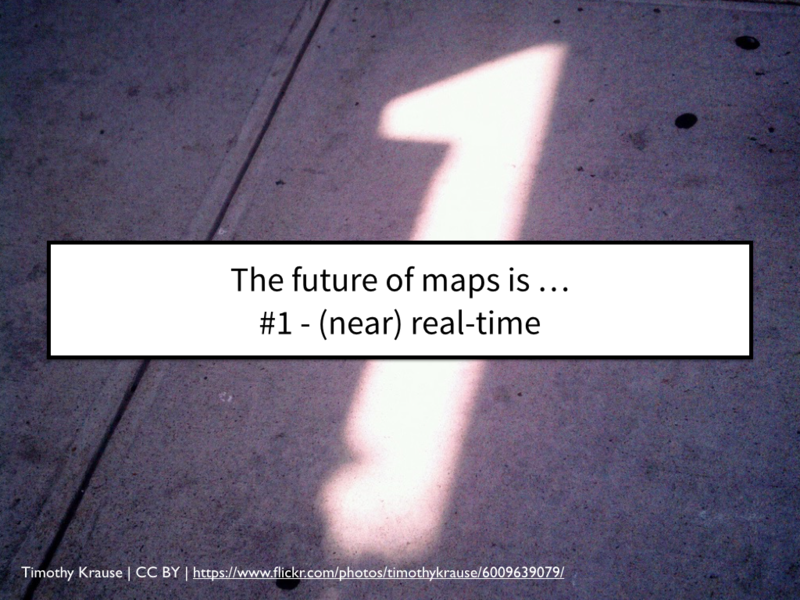 The future of maps is nearly, almost real time. 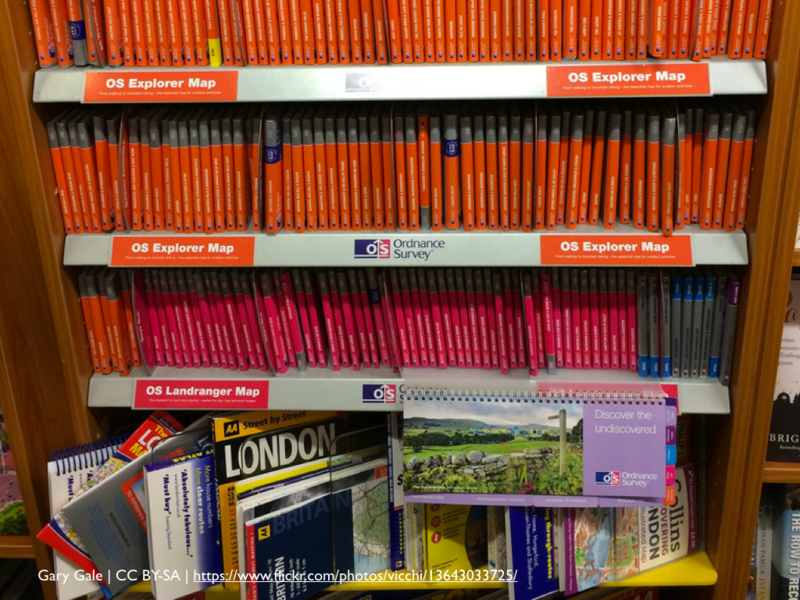 If you bought a paper map, it stayed the same until either a new edition came out, until you lost your map or it wore out. Paper map update rates are measured in months or years. The data that powers today’s digital maps is updated almost as soon as its generated but that data still needs to go through accuracy checks and update cycles are measured in weeks or sometimes months. But some data is short lived. While a base map may only change slightly from update to update, what you can show on a base map can happen and then not happen in the course of minutes. Take traffic congestion. Traffic is bad on the westbound stretch of the M25 heading towards Heathrow, which isn’t surprising. 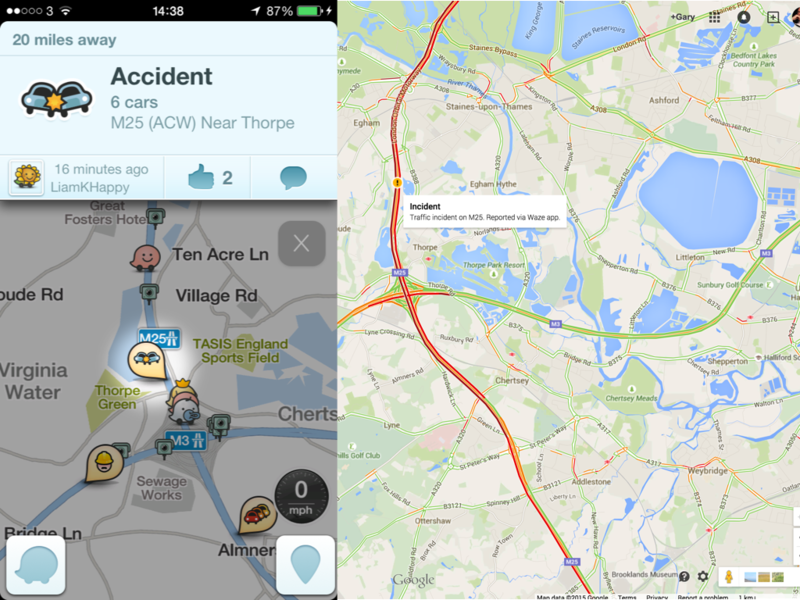 But this patch of bad traffic is caused by an accident, which someone using Waze has reported. 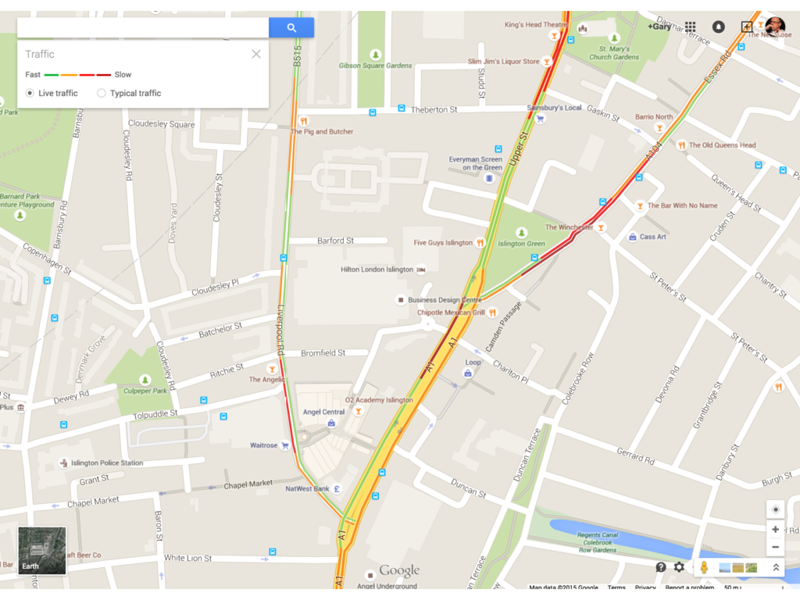 Because Waze was recently acquired by Google, this accident report also appears on Google’s own maps. HERE’s mobile app also shows me that traffic is bad on this stretch of the motorway but it doesn’t show me why. More importantly, Waze showed me when the accident was cleared and traffic was flowing again, but HERE was still showing congestion. The future of maps is near realtime with information being added to the map when it’s happening and removed when it’s not. The future of maps is maps that work just as well inside your destination as they do outside when they’re getting you to your destination. A lot of commercially available mapping data is still very much tailored to turn by turn, automotive navigation. Your car can’t get inside a building and so your map doesn’t show you how to complete that last section of your journey. 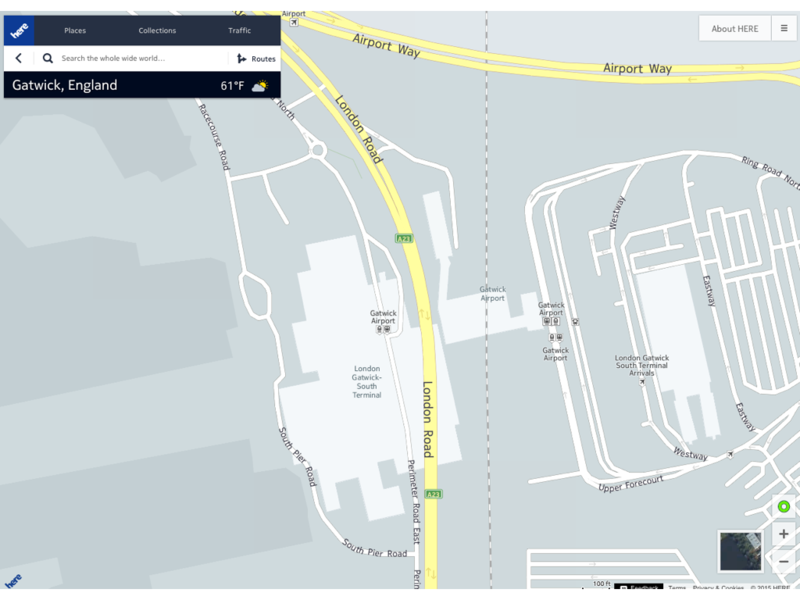 This is HERE’s map of Gatwick’s South Terminal. It doesn’t really tell me much. 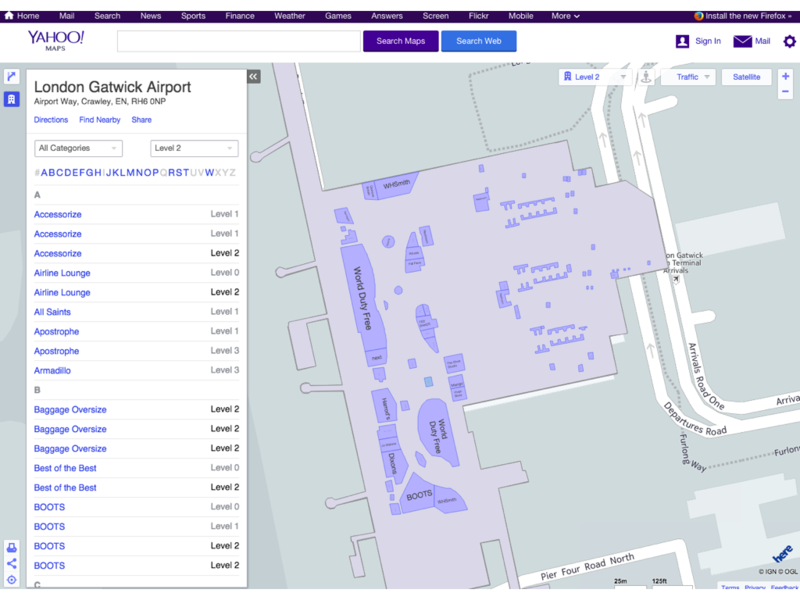 One building is marked as Gatwick Airport. 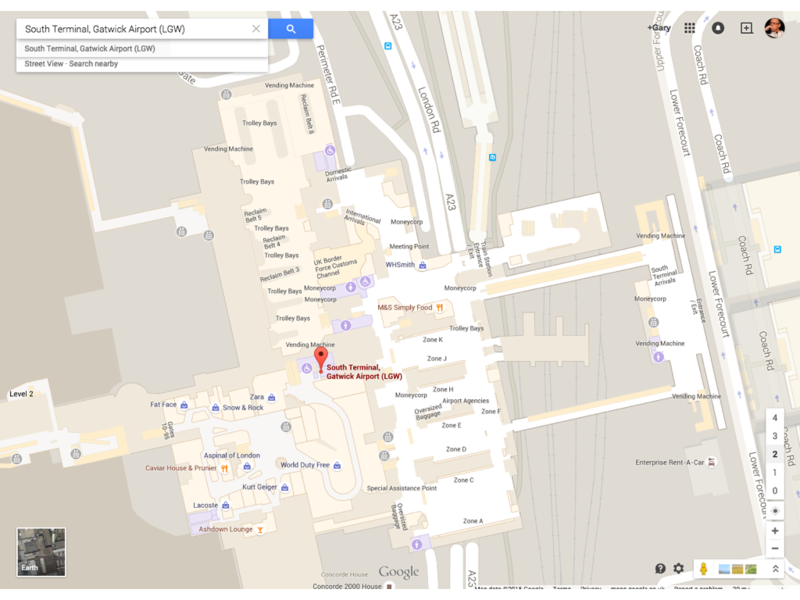 Two buildings are marked as the South Terminal and there looks to be two train stations called Gatwick. I can see where arrivals are, but what about departures and the all important retail therapy at the duty-free stores? Google’s map goes inside the terminal building, showing me it’s spread out over 4 floors and allows me to explore and see what’s on each floor. Yahoo does the same, this time at the airport’s North Terminal. What’s deeply ironic is the HERE logo at the bottom right of the map. 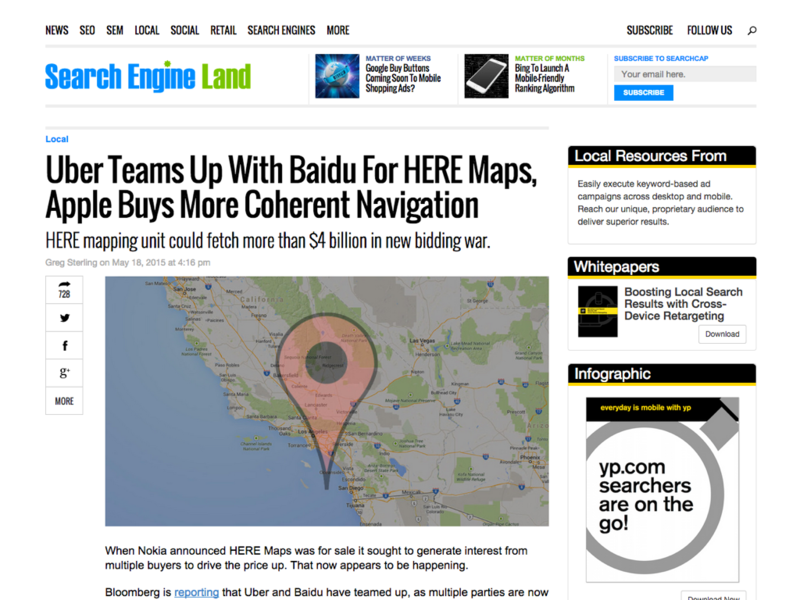 Yahoo’s maps are powered by HERE and this inside mapping is part of HERE’s platform. 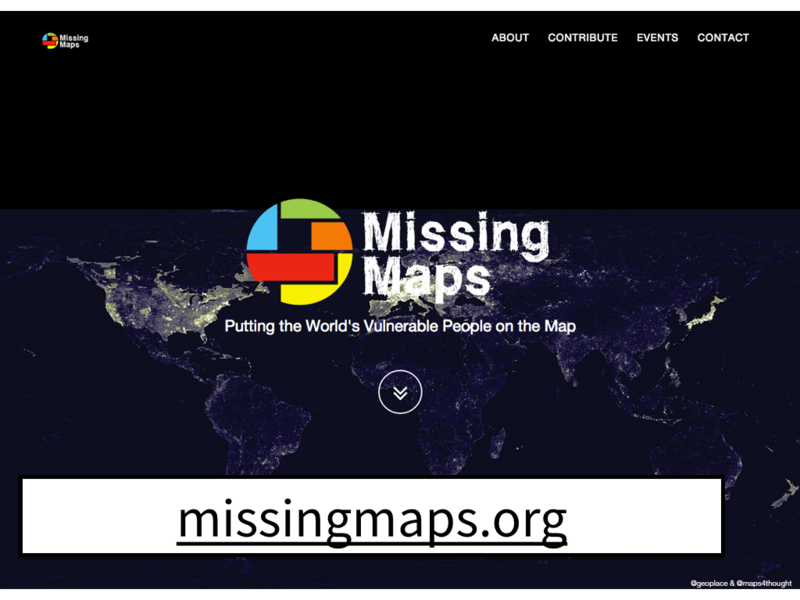 Which makes me wonder about why it’s not on HERE’s own mapping site? 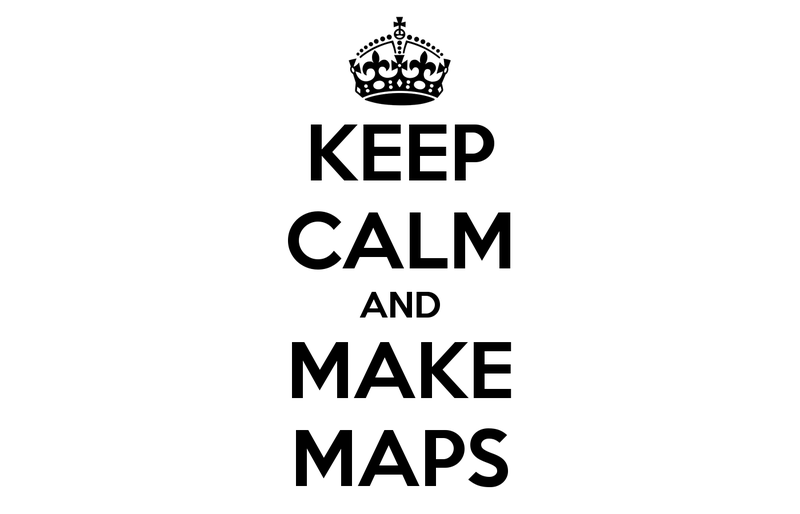 For now, indoor mapping is still a relatively rare thing, only for specially selected destinations and venues. 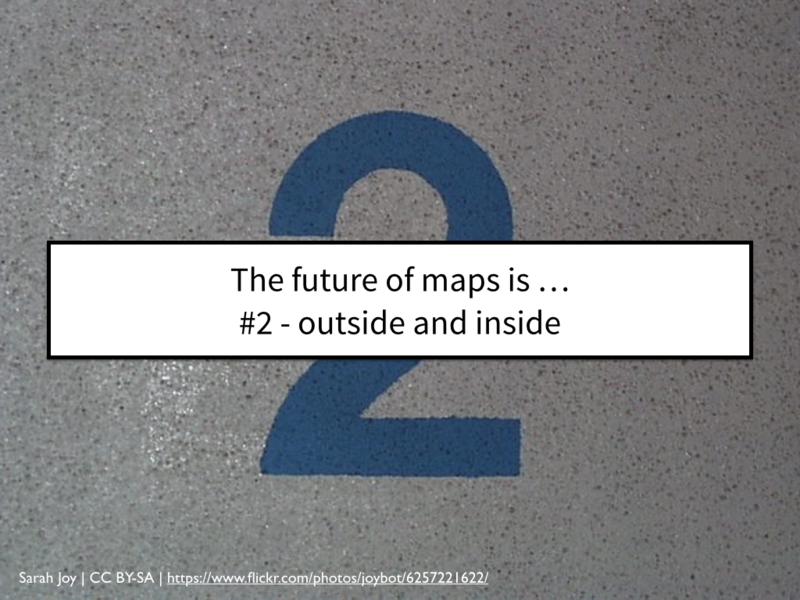 But the future of maps are indoors, outdoors and all points in between. 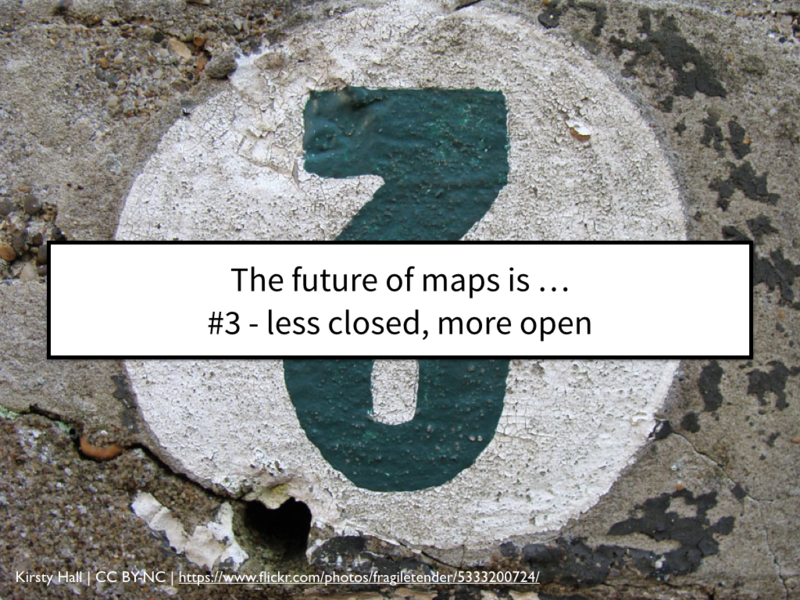 The future of maps is one in which open data will either stand alongside closed, proprietary data or overtake it in terms of usage. Traditionally, mapping data was costly, both in terms of how the data is acquired and how it is licensed. 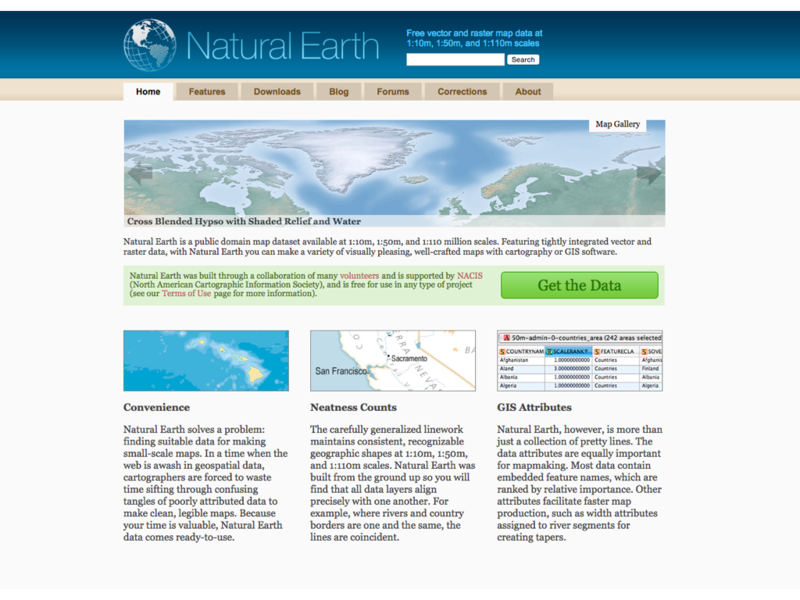 If you wanted global mapping data you went to NAVTEQ, who were acquired by Nokia in 2008 and rebranded HERE. 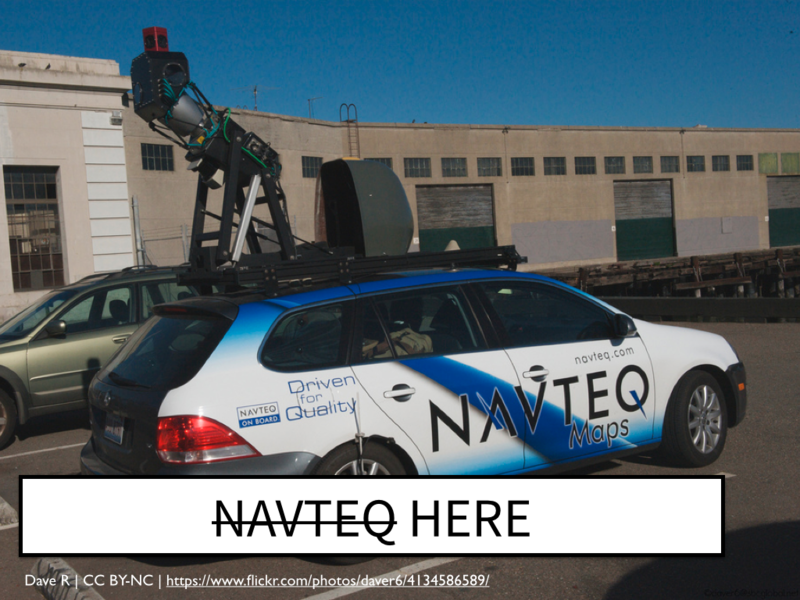 Or you went to TeleAtlas, who like NAVTEQ were acquired in 2008, this time by TomTom. 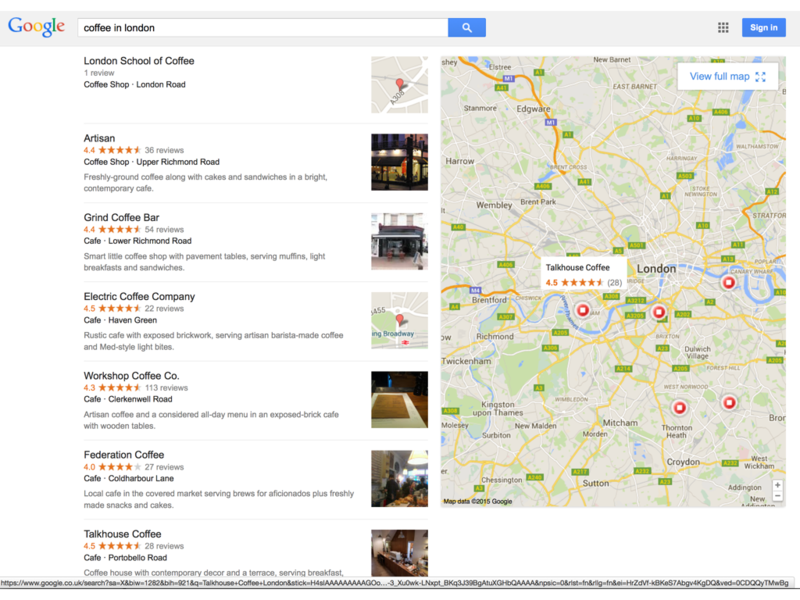 The price and terms around licensing mapping data was one of the factors that caused Google to use its StreetView program to generate their map data and Google Map Maker to keep that data fresh and accurate. Though it’s fair to say that this hasn’t always been a success. 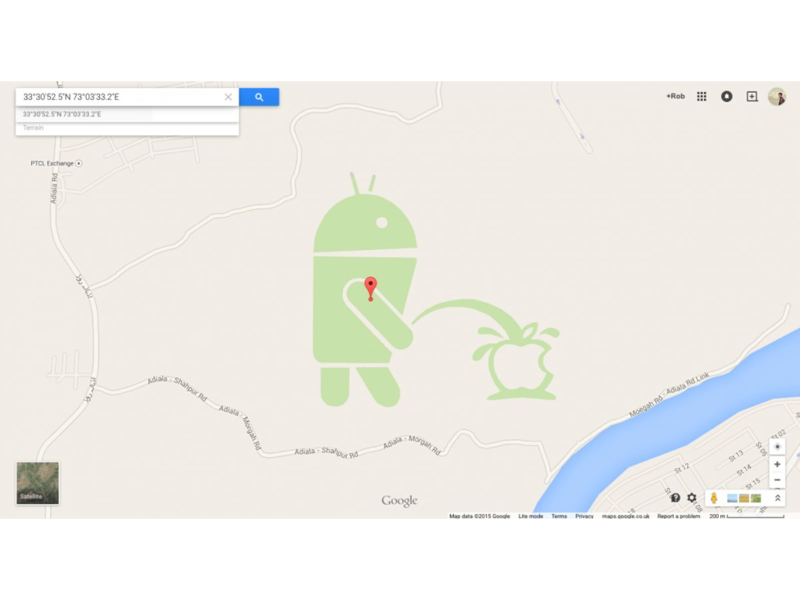 Some map makers feel more strongly about Android than Apple than is probably healthy. 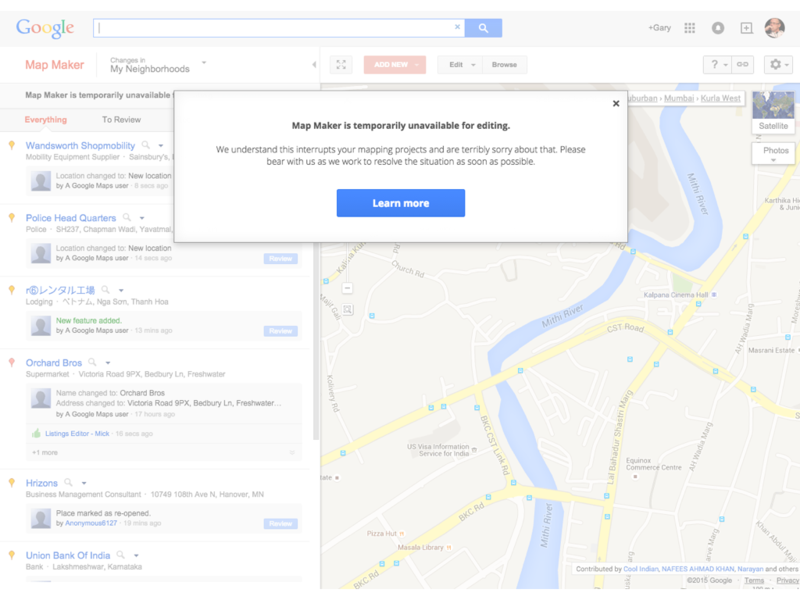 Which means for now, Map Maker is shuttered until Google works out how to moderate crowd sourced data. The loss of Map Maker isn’t the only event which has thrown the map data industry into a turmoil of rumour and speculation either. Nokia has announced that HERE is up for sale, with multiple parties and joint ventures being speculated on as being suitors to the heir to NAVTEQ. 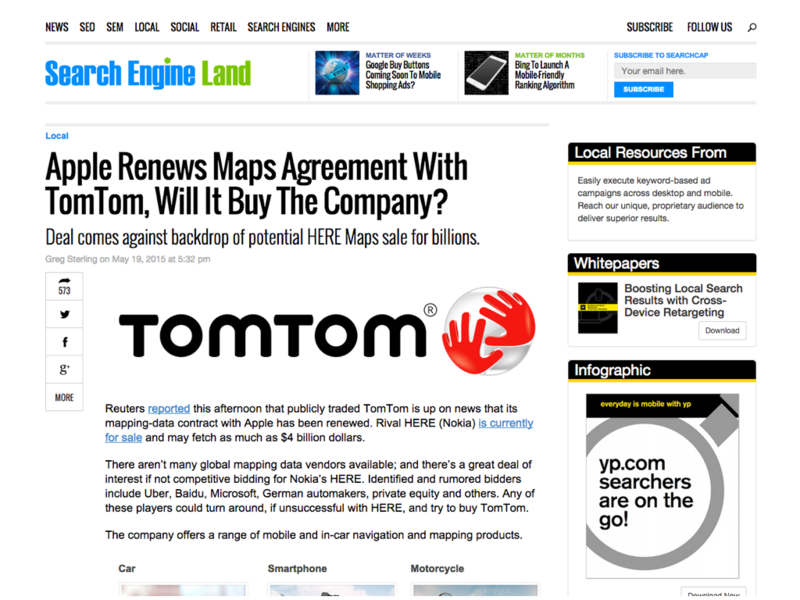 TomTom too isn’t without its share of speculation. 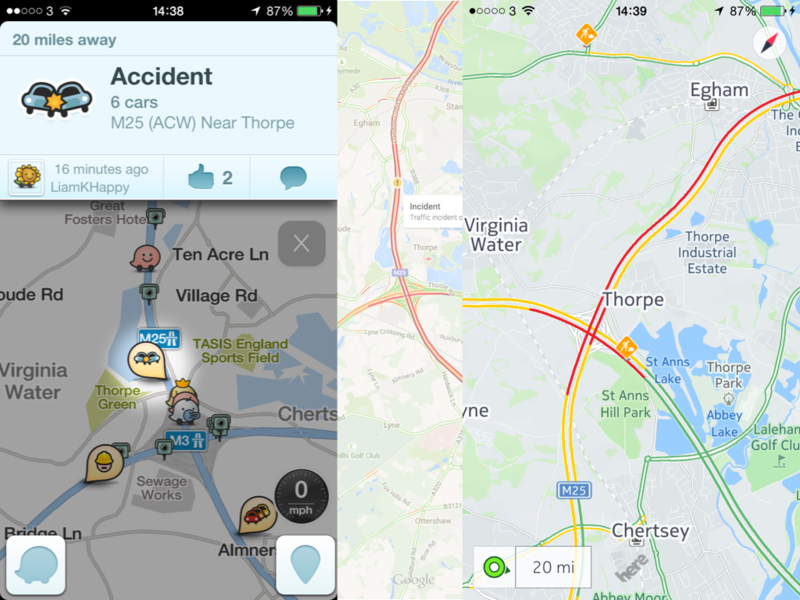 While the company has just re-signed a deal to provide the mapping data for Apple’s maps, some commentators (myself included) think that TomTom getting acquired is just a matter of when rather than if. 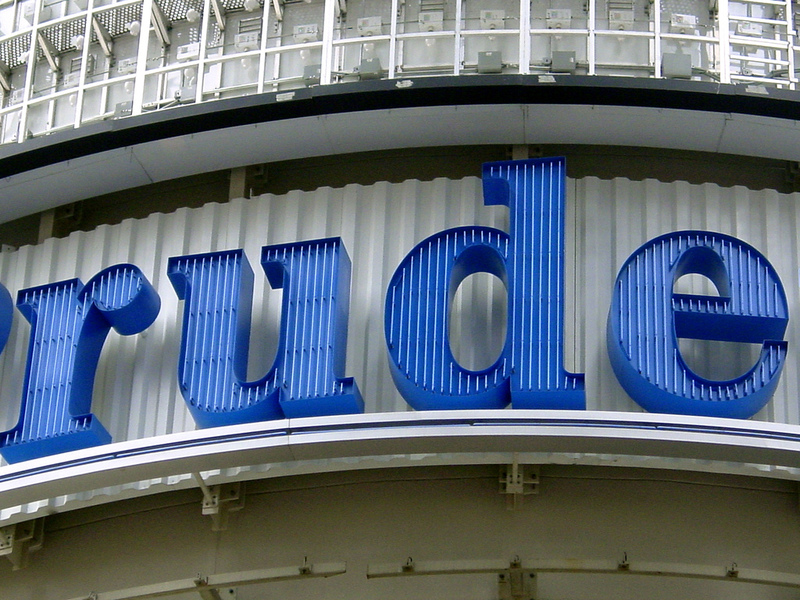 Whenever a company is rumoured to be acquired or openly up for sale, there’s the chance for a competitor to use the resulting confusion and market inertia to its own advantage. 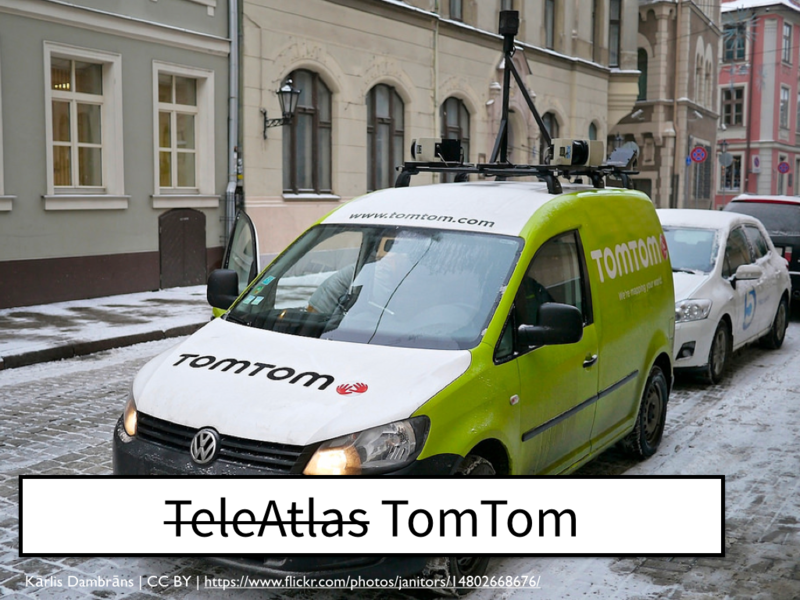 How the sale of HERE will turn out and if TomTom gets sold remains to be seen, but open mapping data continues to grow in coverage and in uptake. 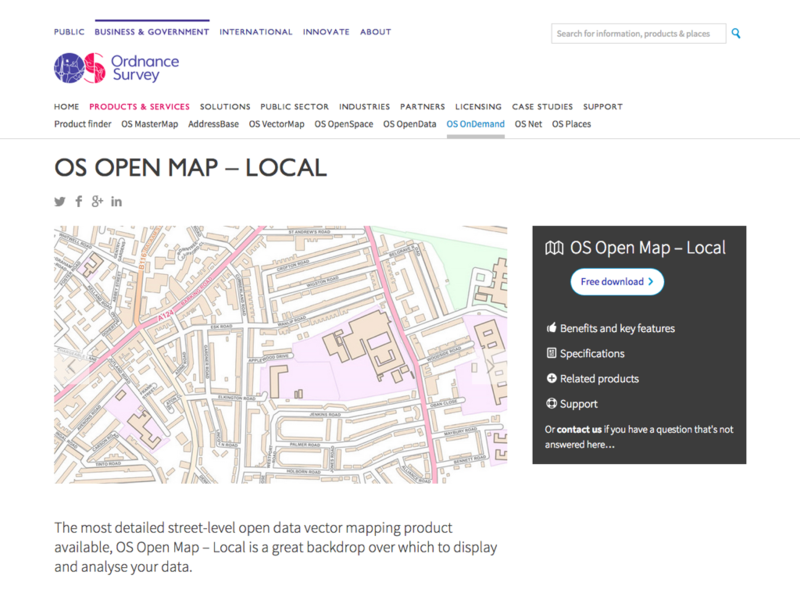 Or the poster child of crowd sourcing that’s better known as OpenStreetMap, the availability of open data continues to increase and as you can see from the visualisation behind me, data sets such as OSM are being updated at an almost frantic pace, all over the globe. You can loose hours just watching the almost hypnotic pace of map changes. In the interests of transparency I should state that I have lost hours watching the map change. 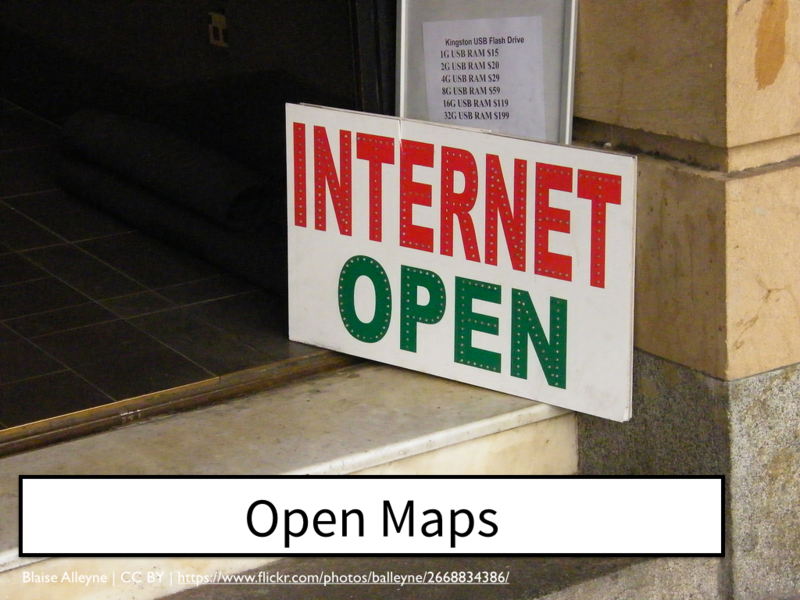 But open data and especially open map data needs to be used as well as just created. 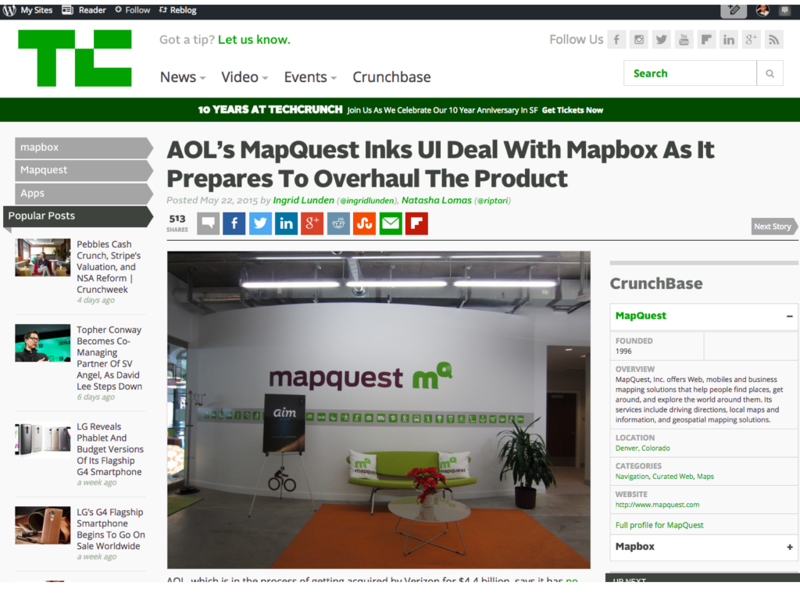 The rumoured and possibly confirmed sale of AOL, MapQuest’s owners to Verizon seems to be behind the overhaul of MapQuest with OSM powered MapBox doing the background heavy lifting for one of the industry’s oldest surviving mapping brands. We’re used to today’s maps being pretty accurate and we complain quite vociferously if they’re not. 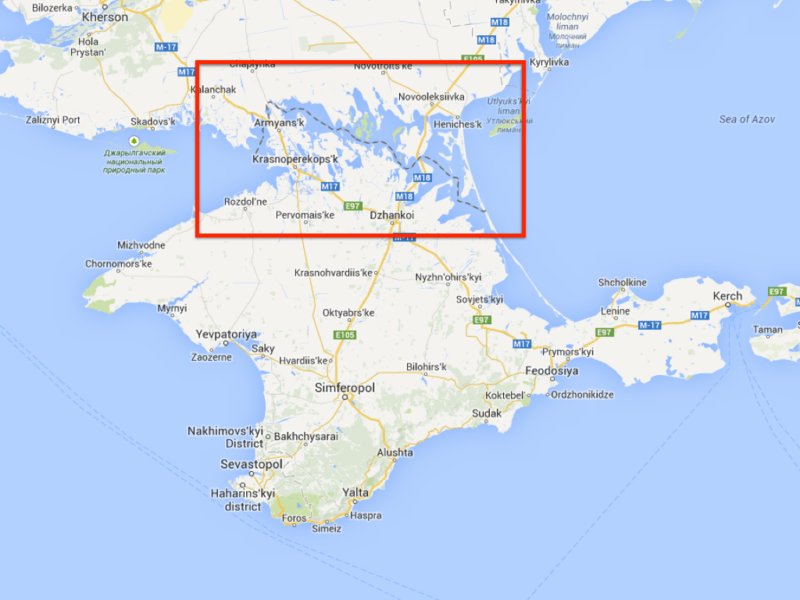 But the accuracy of today’s maps is bound to the accuracy offered by the way in which the data is collected. 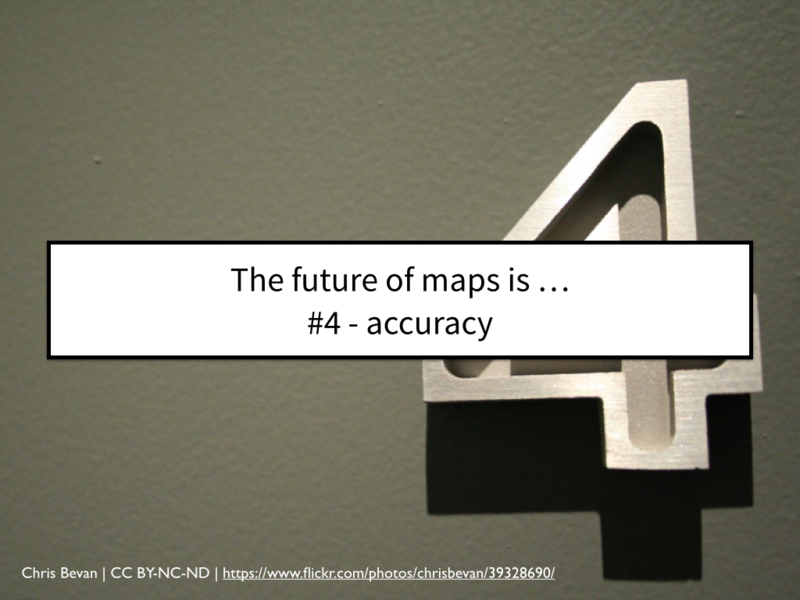 The future of maps is one which gets a significant accuracy boost. Most of today’s positioning and a lot of today’s crowd mapping relies on the trinity of A-GPS. 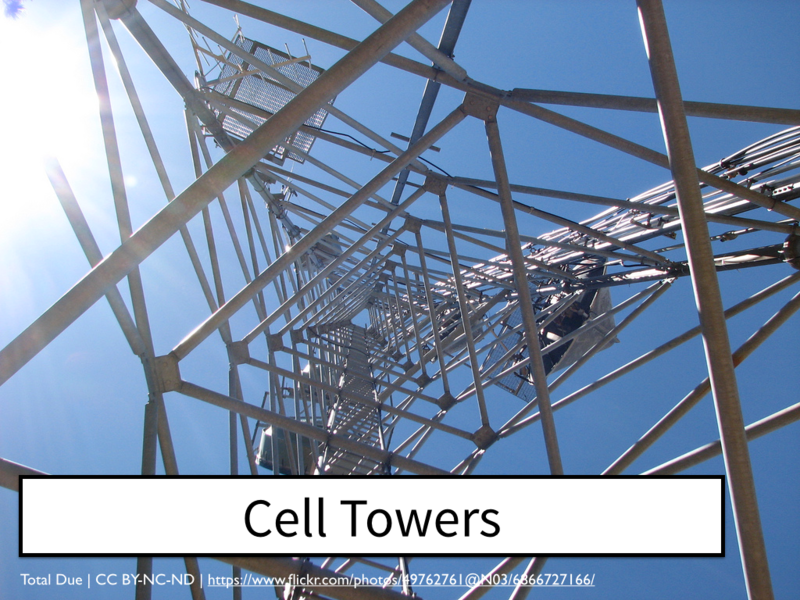 At the lowest end of the scale is cell tower triangulation which is less “you are here” and more “you might be somewhere around here”. 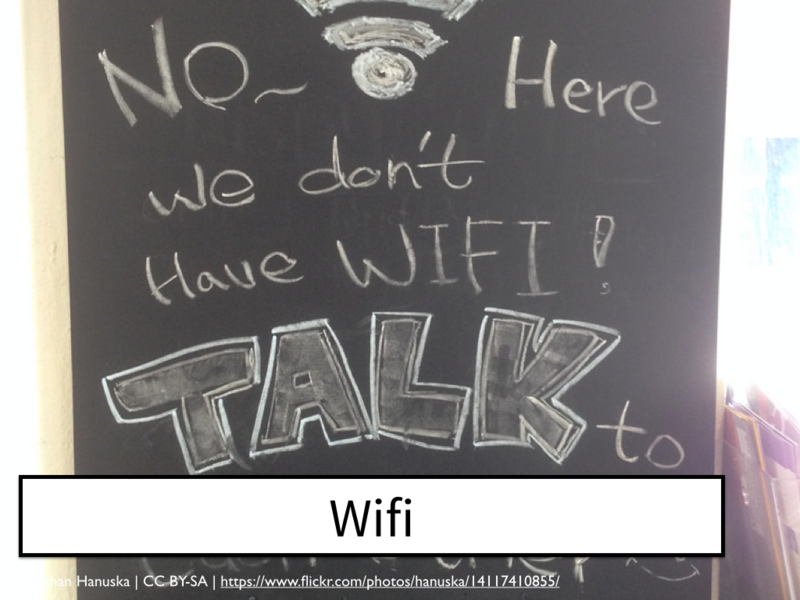 Slightly more accurate, especially in urban areas with lots of public wifi access points, is wifi triangulation. 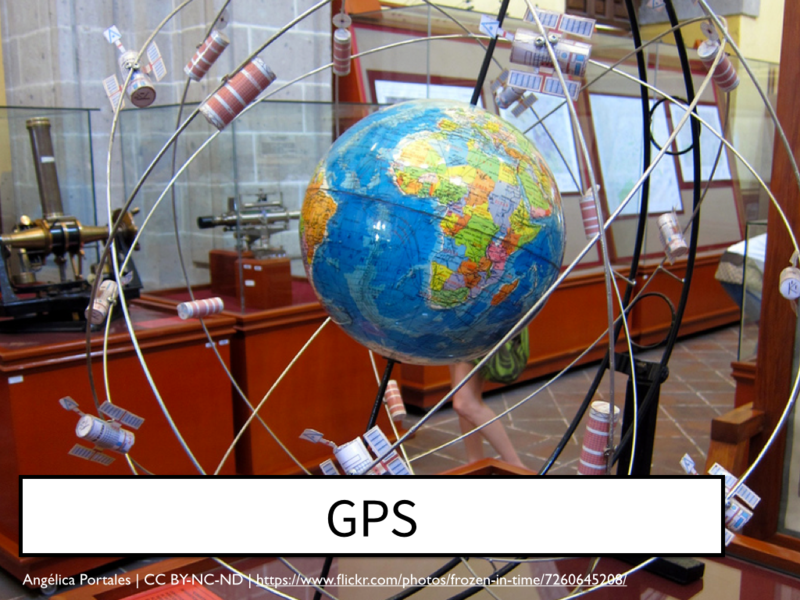 And at the higher end of the accuracy scale is GPS, which claims accuracy to around 4 meters. But things are going to get a whole lot more accurate with QPS. 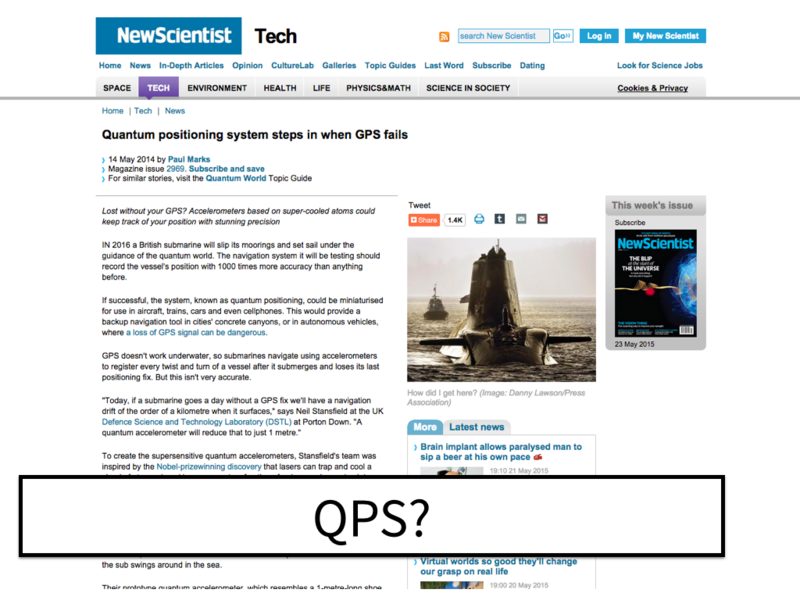 QPS? Tests of a new quantum positioning system are expected to show positional accuracy up to 1000 times greater than today’s accelerometer based location technology for those times when GPS just isn’t available, such as when you’re in a submarine or when you really, really need to know where you are to within a meter. 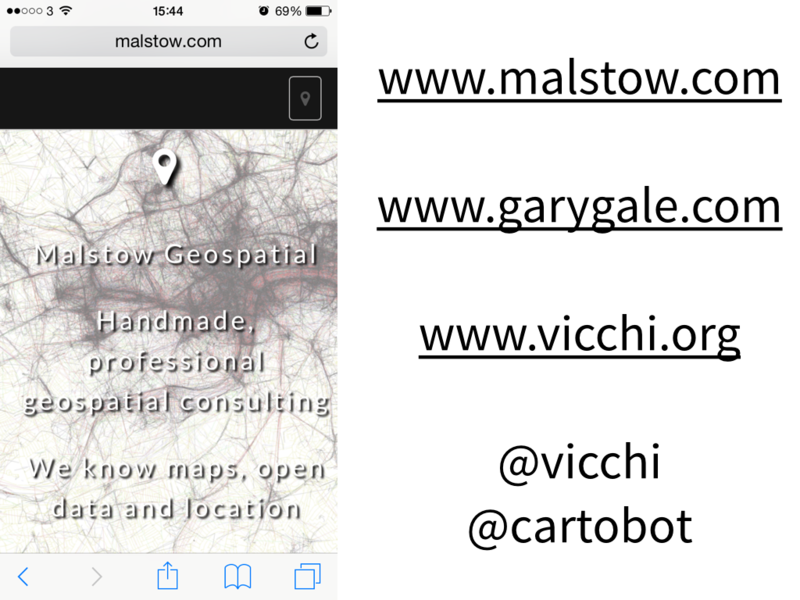 The future of maps is also one where we share our location. But not in a tag your location in Facebook, check in on Foursquare (sorry, check in on Swarm) or geolocate your Tweets sort of sharing. 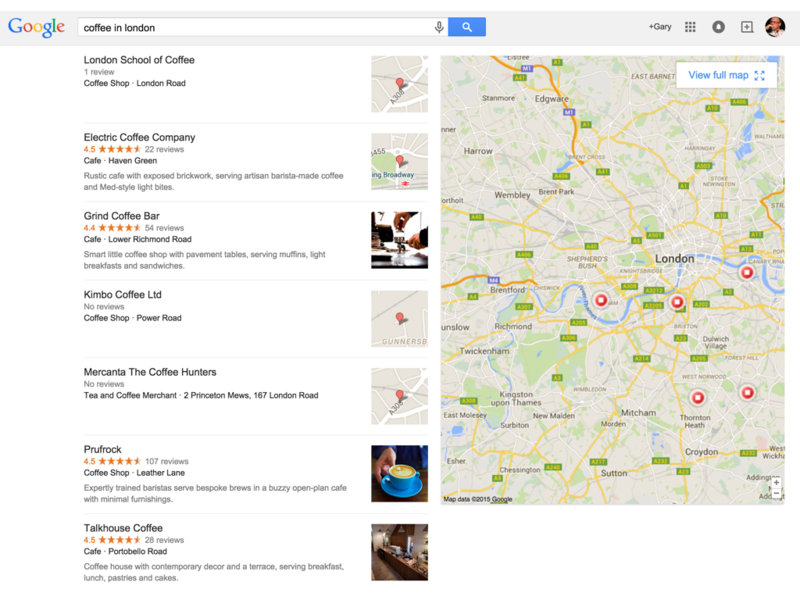 The future of maps is getting a little bit more murky with sharing location whether you like it or not. It seems innocuous enough. 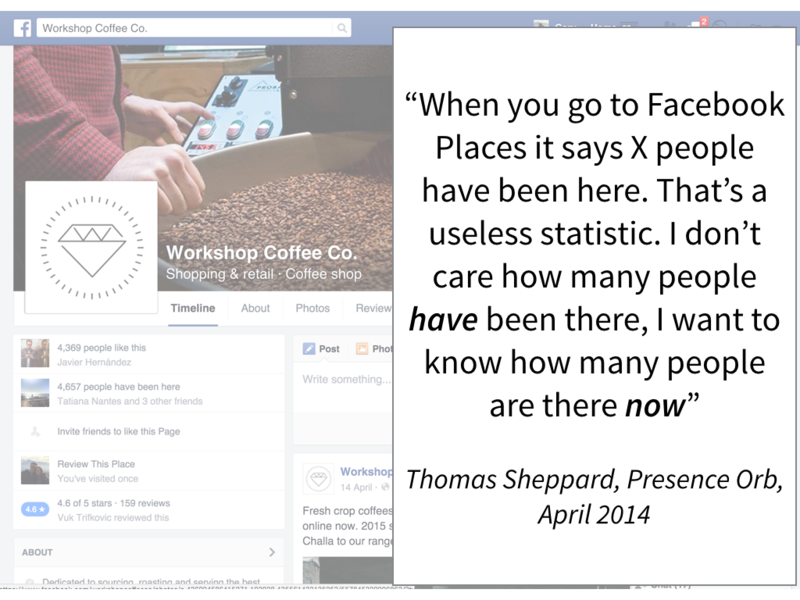 Lots of data we see on maps help us gauge our feelings about a place or location. 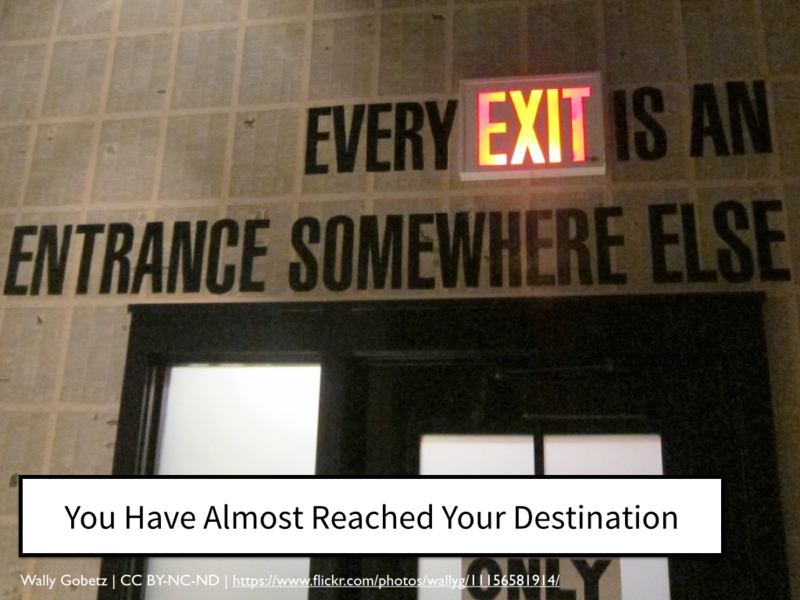 It’s one thing to know how many people have been to a place, but it’s a lot more interesting to know how many people are actually at a place right this very moment. Last year Presence Orb tried to put this principle into practice, theorising that tracking the unique identifiers our mobile phones broadcast could show how many people are in a given place. 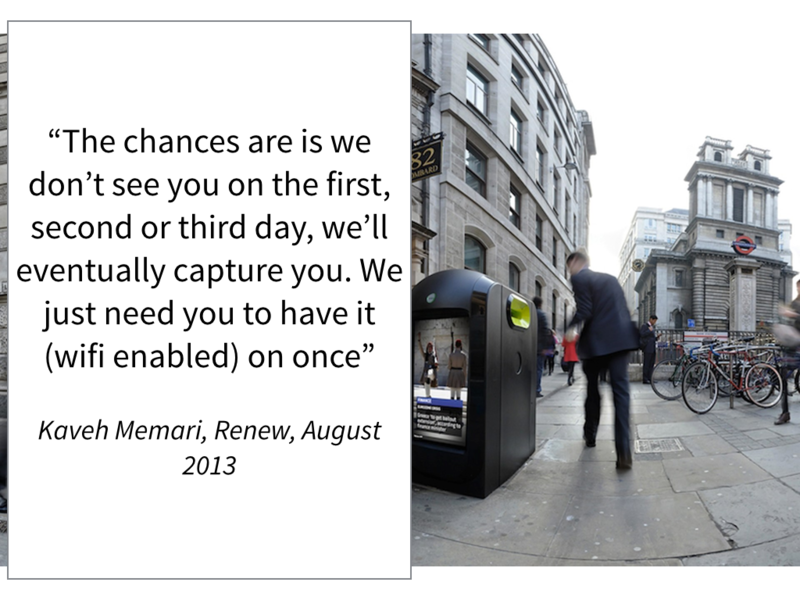 To trial this, Presence Orb went into partnership with a company called Renew who produced … a rubbish bin. No. Really. 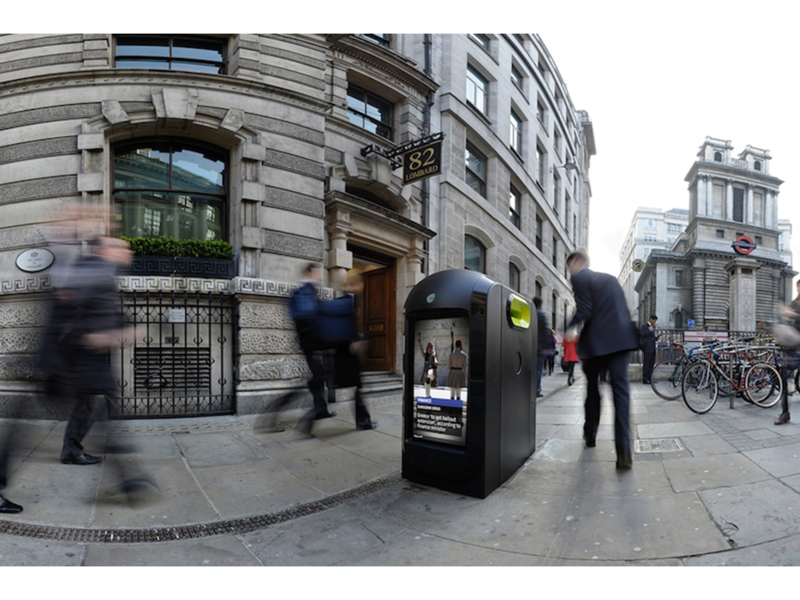 A rubbish bin laden with sensors that logged the MAC address of your phone’s wifi and Bluetooth (providing they’re turned on) and used this information to track your speed and your direction. But this wasn’t just a one off. There were 12 bins placed along Cheapside in the City of London and Renew kept that information and used it to build a data set of people’s movements, without their knowledge. 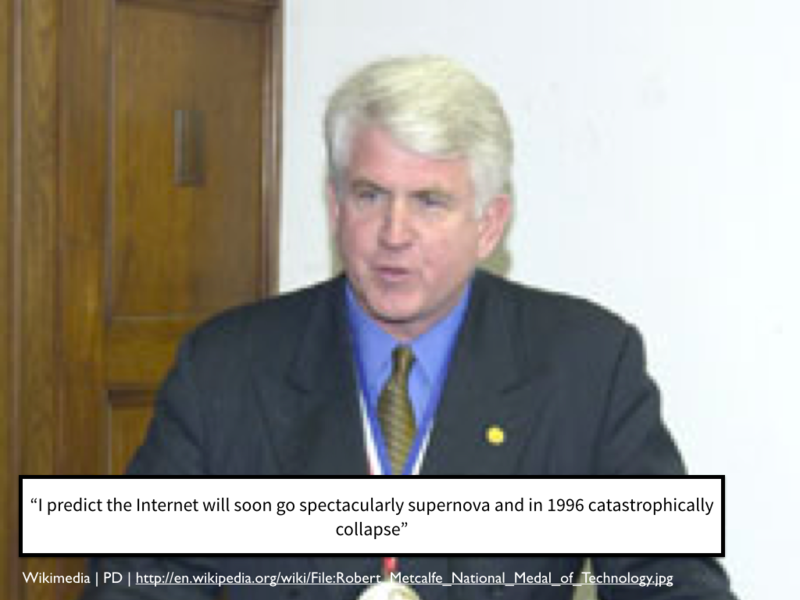 As the company pointed out “It provides an unparalleled insight into the past behavior of unique devices — entry/exit points, dwell times, places of work, places of interest, and affinity to other devices — and should provide a compelling reach data base for predictive analytics (likely places to eat, drink, personal habits etc.)”. Not everyone found this so compelling. And when questioned, Renew didn’t seem too bothered about people’s misgivings. And they certainly didn’t seem to think they needed people’s permission either. 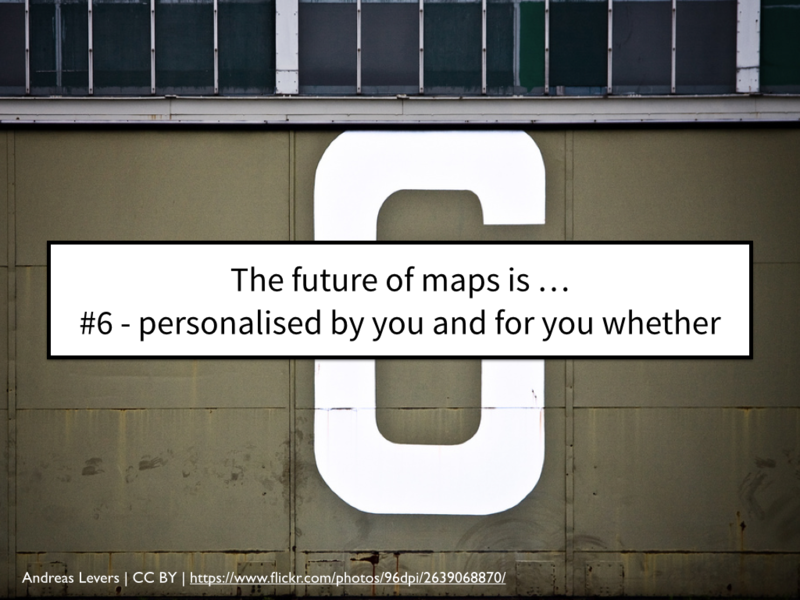 Thankfully not all location based insights are as intrusive, but the future of maps is definitely one of personalisation, both for you and because of you. Just as most people realise there’s no such thing as a free lunch, most people realise that we “pay” for free and online services with our information, such as our search history, which is used to tailor the information we see online as well as the ads that appear with that information. And why if I run the same location based search when I am signed in I get different results, both in terms of relevance ordering and in terms of what I actually see. It’s OK. I get this. I’m generally happy with this. 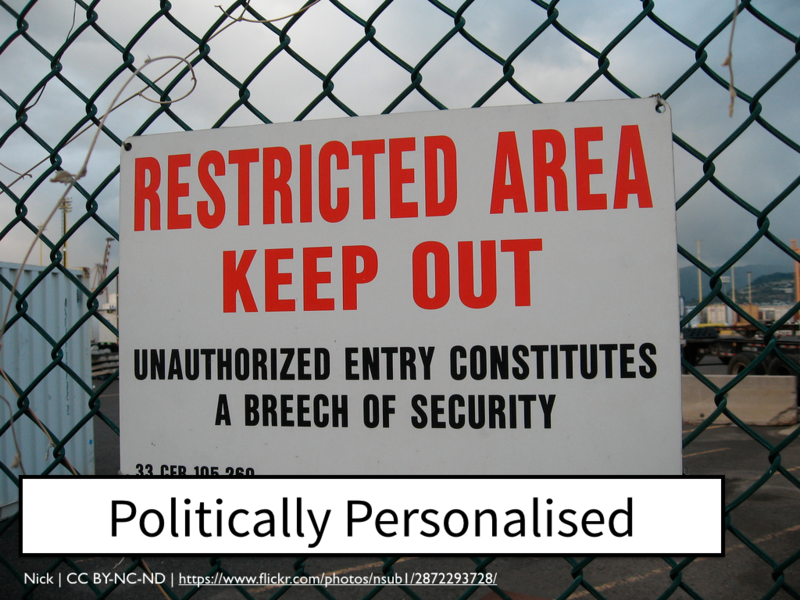 But what happens when what you see on a map or in search listings isn’t personalised for you, it’s personalised because of where you are in the world or the political viewpoint of your government? This is where what I see on my map may not be what you see on your map. There’s many areas of the world which are … “contested”. When one government says the border is here and another government says it’s over there? Take the Tirpani and Bara Hotii valleys for example. 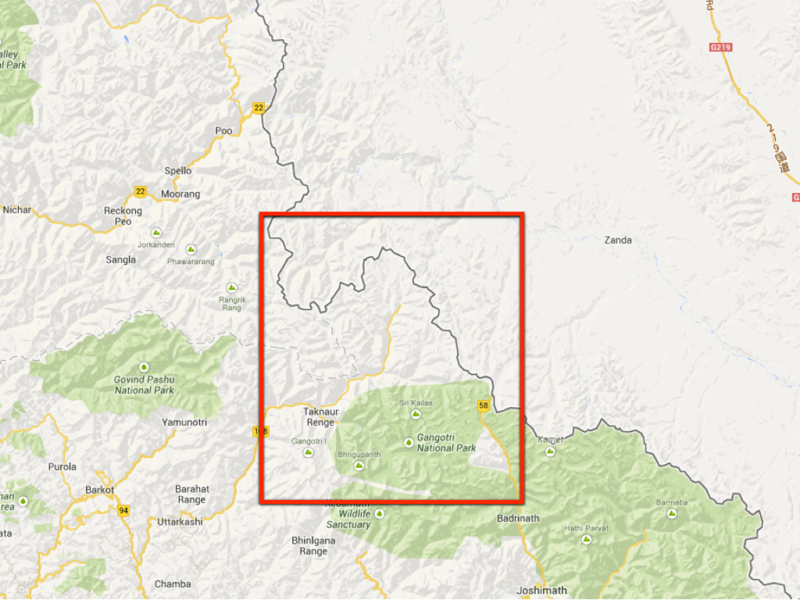 They sit on the disputed border between India and China with both countries proclaiming them as their territory. This means that on Google Maps, people in the US and the UK see a dotted line, indicating a disputed border, with both countries view points represented. 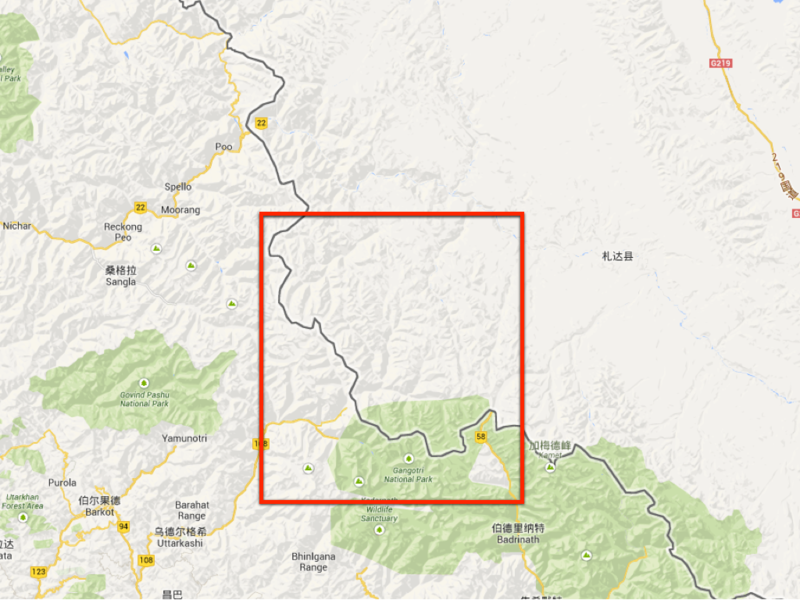 However Chinese users of Google Maps see the Chinese border, extending to the south-west. While Indian users see the Indian border extending to the north-east. 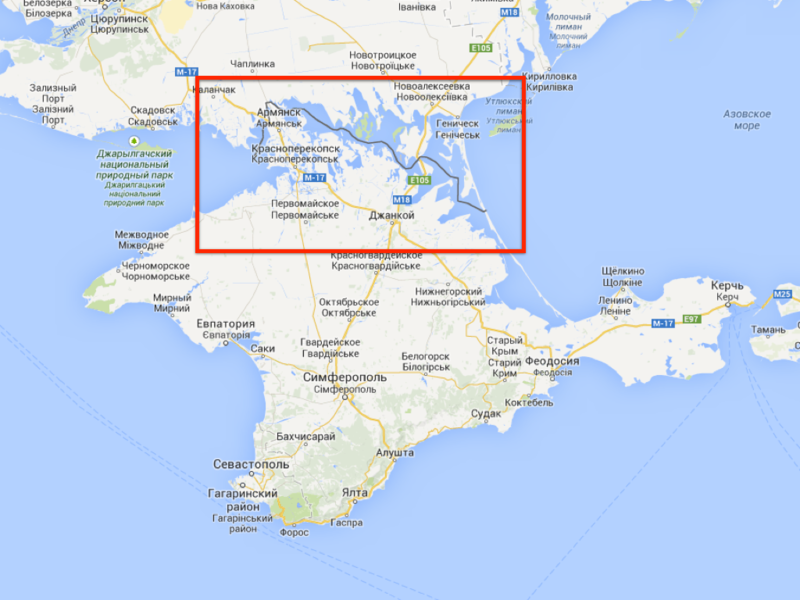 Since March of last year the Crimean peninsula has been the source of a border dispute. 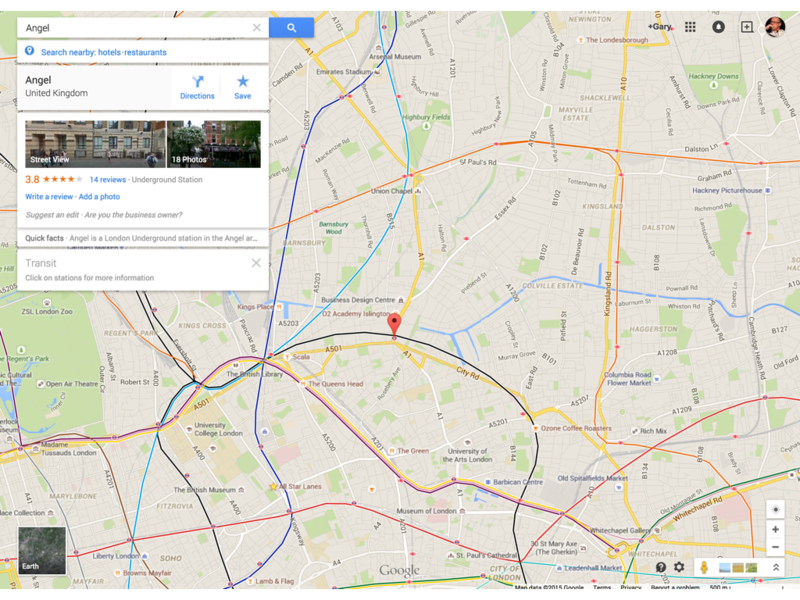 In the US and UK, Google Maps user’s see the border as a dotted line. 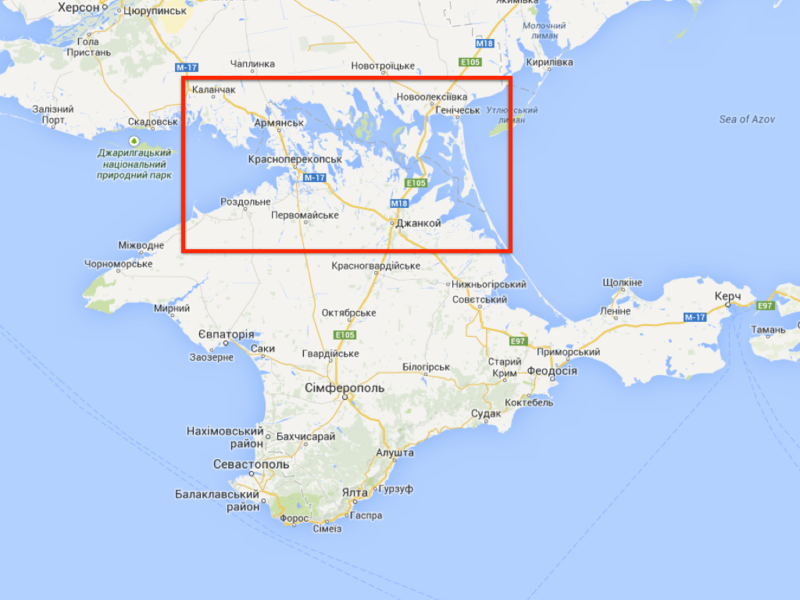 … and Ukrainian users see no border at all. So far the future of maps have all been either about maps which look like maps or the data that you put on top of those maps. 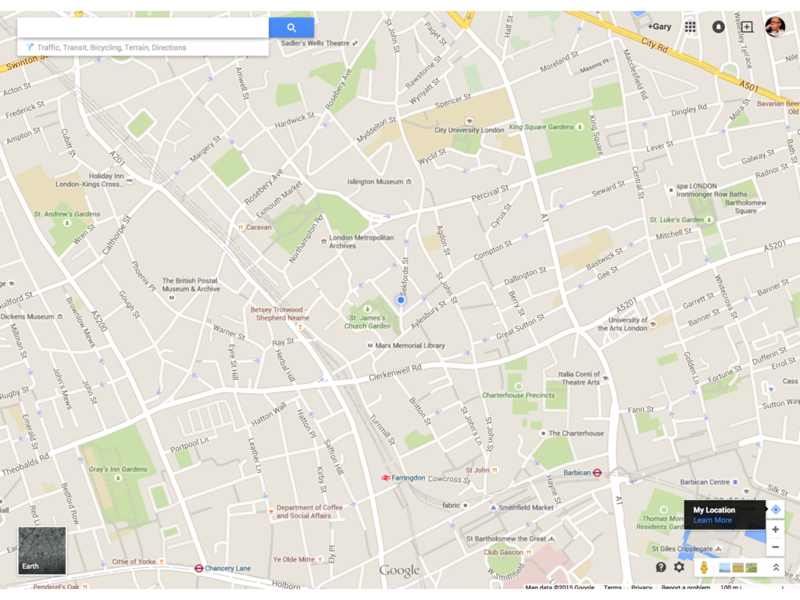 But the future of maps will also have maps which have only a passing resemblance to a map. 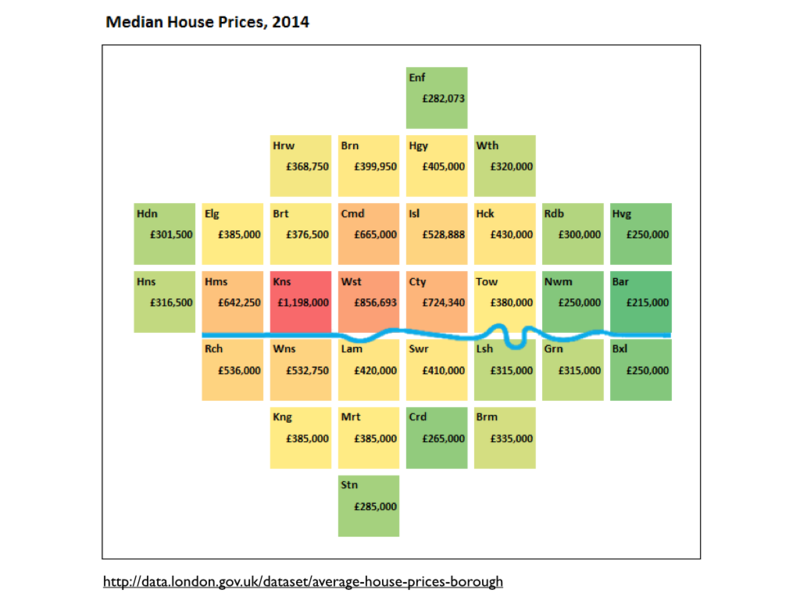 If you’re familiar with London, you’ll probably recognise the highly stylised version of the Thames across the middle of this map of house prices and then recognise the three character codes representing the London boroughs. It’s a map of London which is only vaguely map like. Things get less map like and more like expressionist art when you try and plot what football teams people are talking about in their geotagged Tweets. If it wasn’t for the names of Premier League football club stadiums would anyone recognise this as a map? 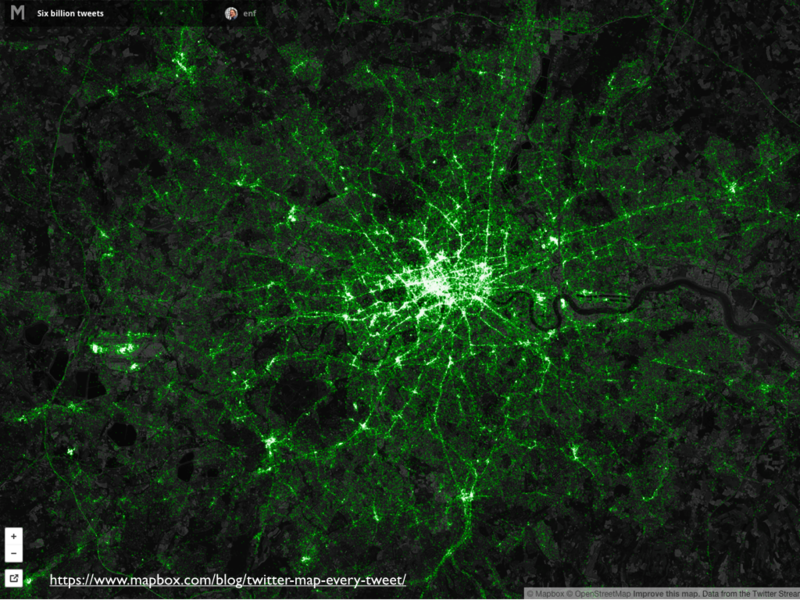 Almost as abstract but more recognisable as a map of somewhere is the map plotting every geotagged Tweet, everywhere. This is London by the way, together with a line of the meridian slicing cleanly through Greenwich to the right of the image. 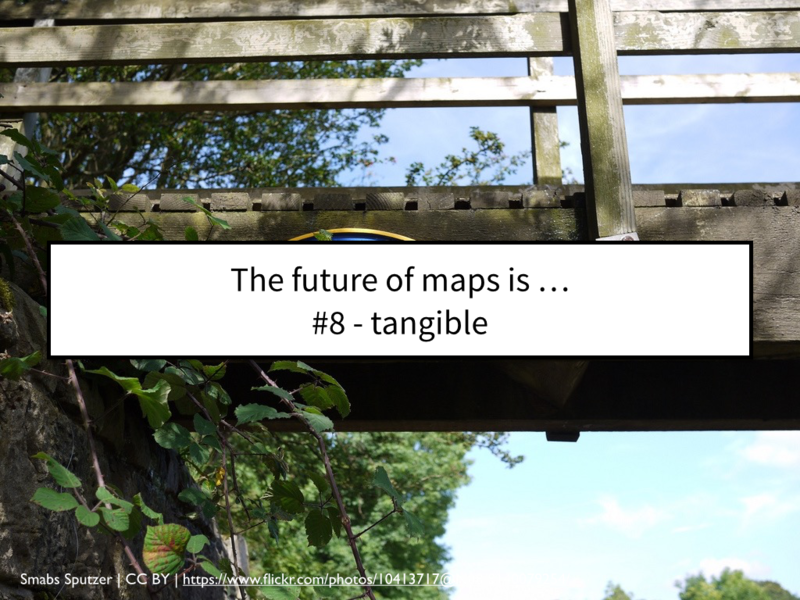 Because the future of maps is unashamedly digital this means that those maps can come to life in many forms and the future of maps is also one of tangible maps you can hold in your hand and really touch. The death of the printed map, printed from digital map data of course, is much overstated, at least if a visit to my local book shop is anything to go by. You can get maps on pretty much anything you want. It’s almost as if the growth of the digital map has caused the public to fall in love with maps all over again. You can even get your birthday presents wrapped in a map. I did. 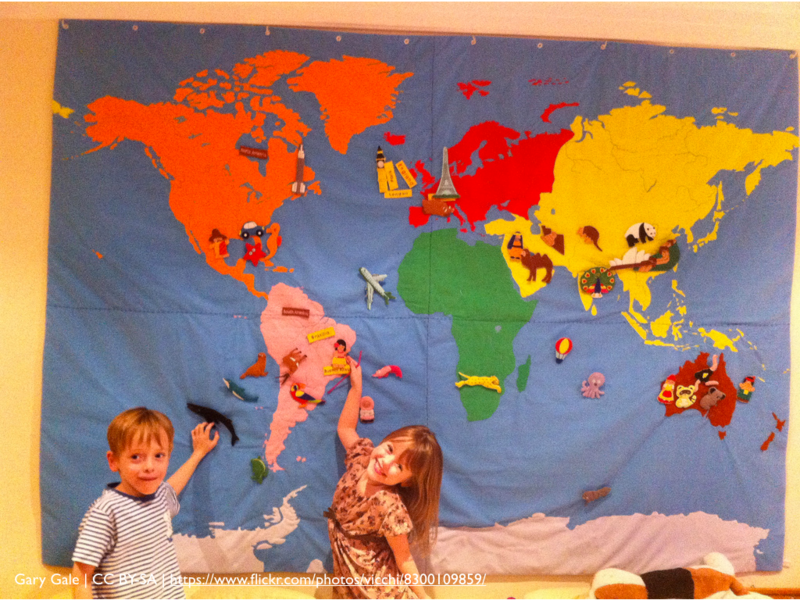 You can even put a map on your wall and try and make map aficionados of the young and impressionable. I did. 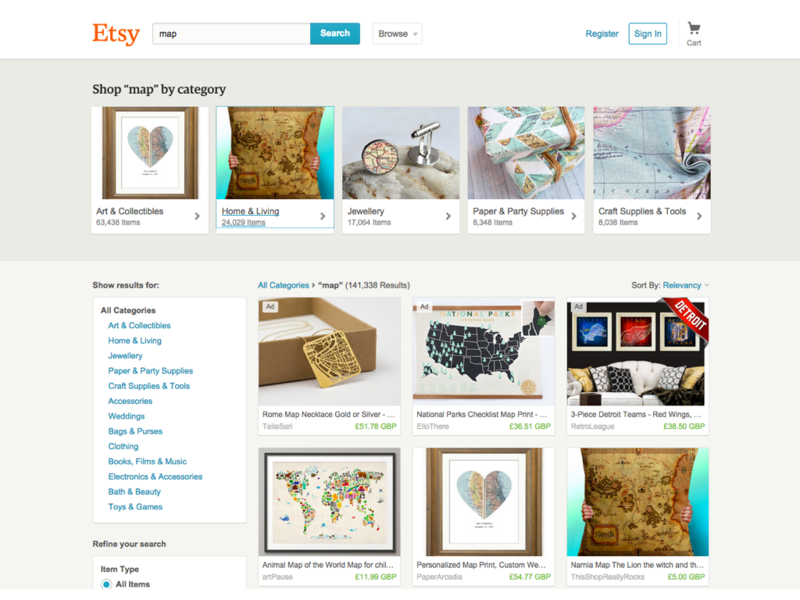 And as a cursory search for “map” on Etsy the other day shows, you can put a map on anything. Over 141 thousand anythings to be more precise. The penultimate future of maps is that of finally having maps that really are truly global. 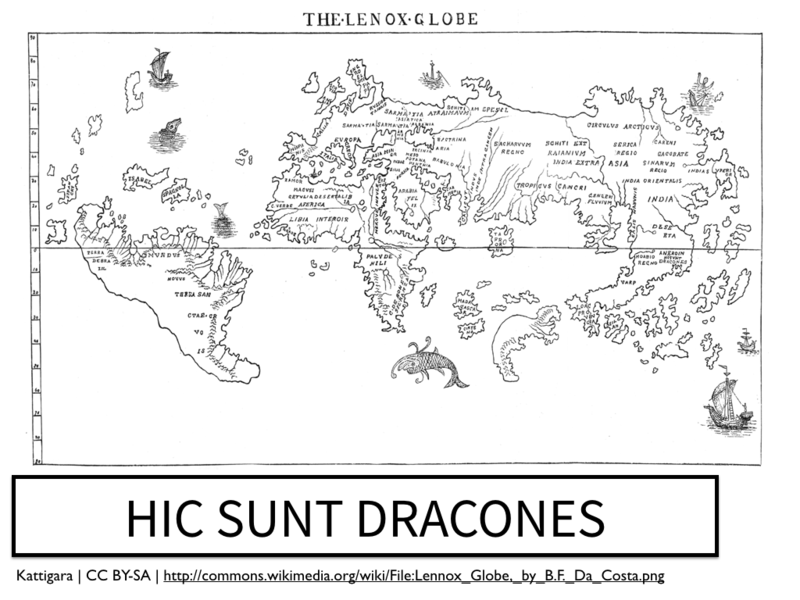 We’ve come a long way since 1510 when the Hunt-Lenox Globe became one of the two known cases of HIC SUNT DRACONES or “here be dragons” denoting unexplored territory. Today, all of our maps are global, surely? Maybe not. 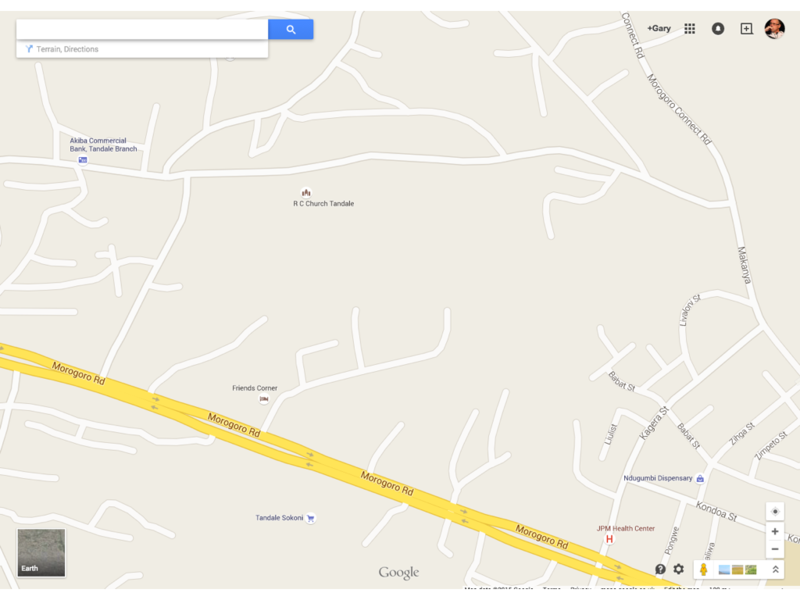 This is a map of what the authorities euphemistically term an “unplanned settlement” in Tanzania’s Dar es Salaam. I’ve been here and there’s definitely a lot more on the ground than this somewhat sparse map would have you believe. This version of Tandale’s map is a little better. There’s some points of interest and some of the roads have names, but it’s still not showing the real picture. Which looks something like this. 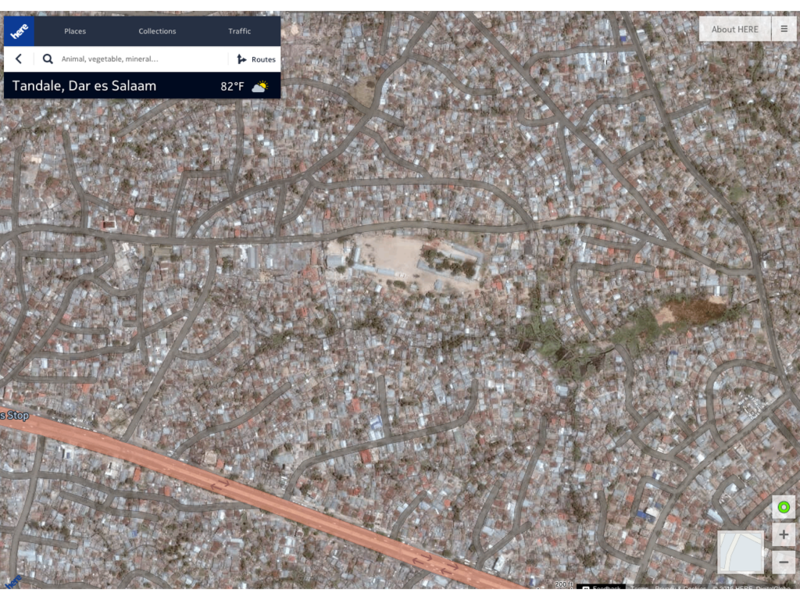 In 2002 a census showed that over 45,000 people lived in this enclave which is surrounded by the rest of Dar es Salaam. Surely these people deserve a better map. To be fair to other map data providers, their maps are still strongly tied to the need for turn-by-turn automotive navigation and that means some parts of the world will never have good map coverage. 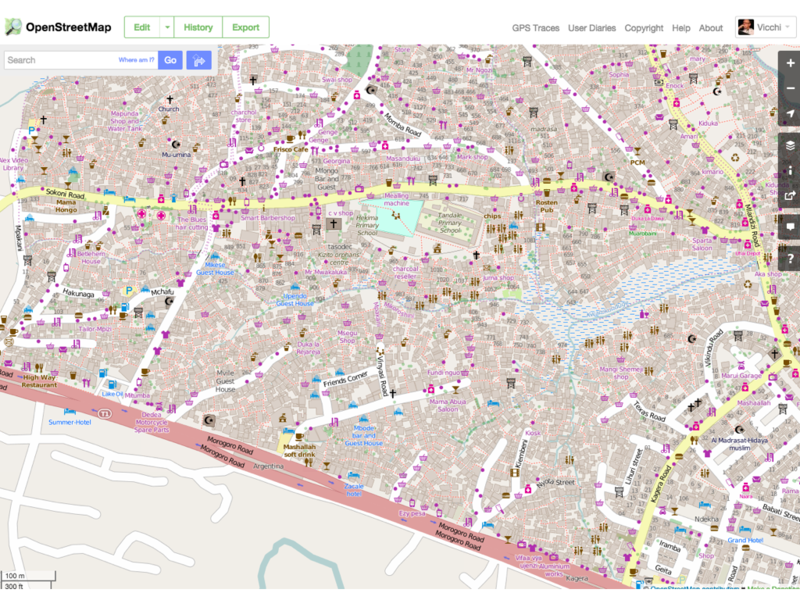 But crowd sourced mapping projects, based on OSM, are fleshing out the map to show what is really there. It may be classed as a slum but from personal experience I can state that Tandale is an amazing place and it deserves to be put on the map. 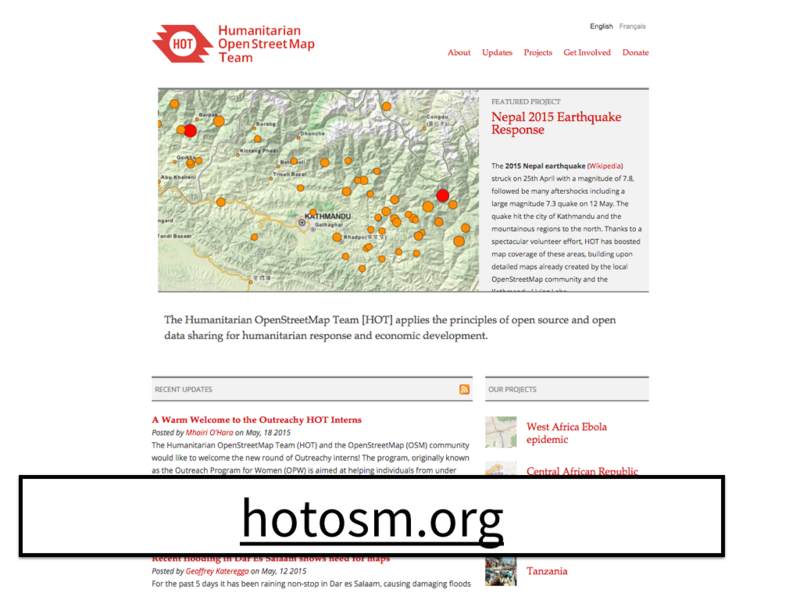 and the Humanitarian OpenStreetMap team are doing just that and, in mapping the under-mapped and the unmapped, are really helping to map the world. 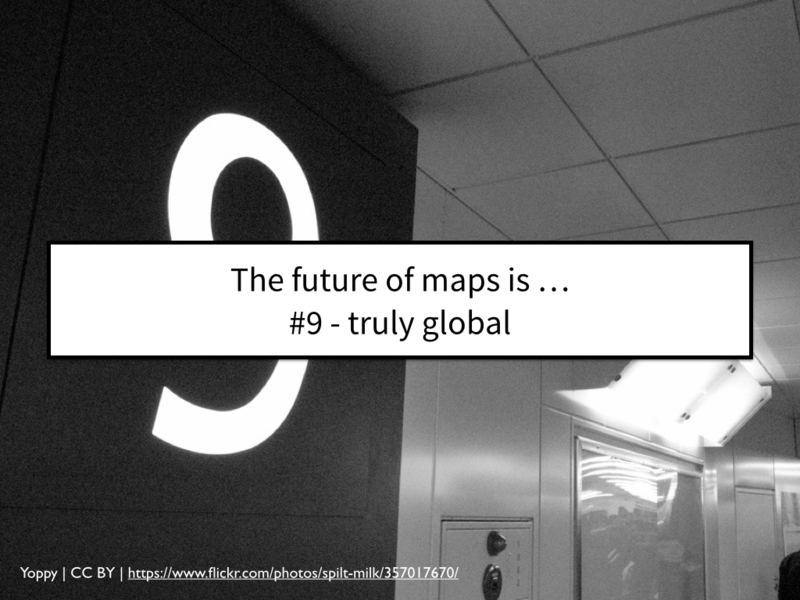 Which brings me to the final future of maps, which really underpins all the other 9. 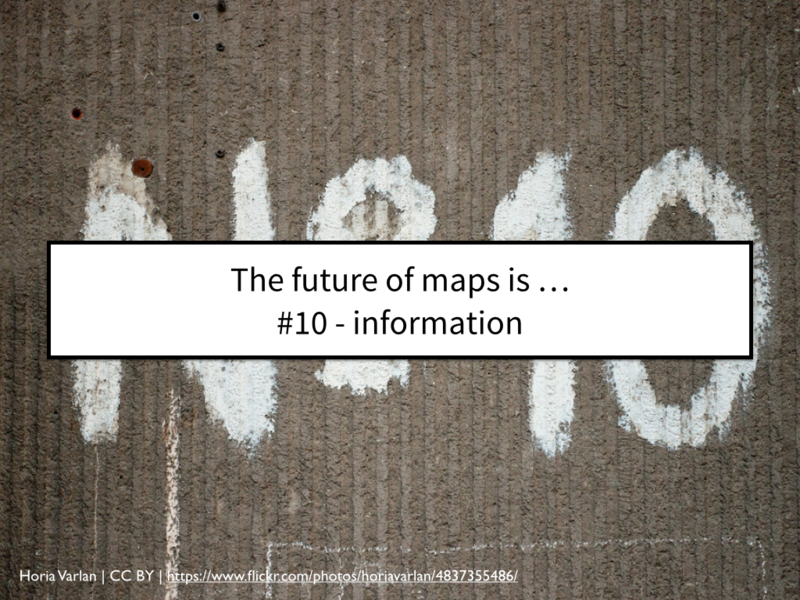 The future of maps is information and data. 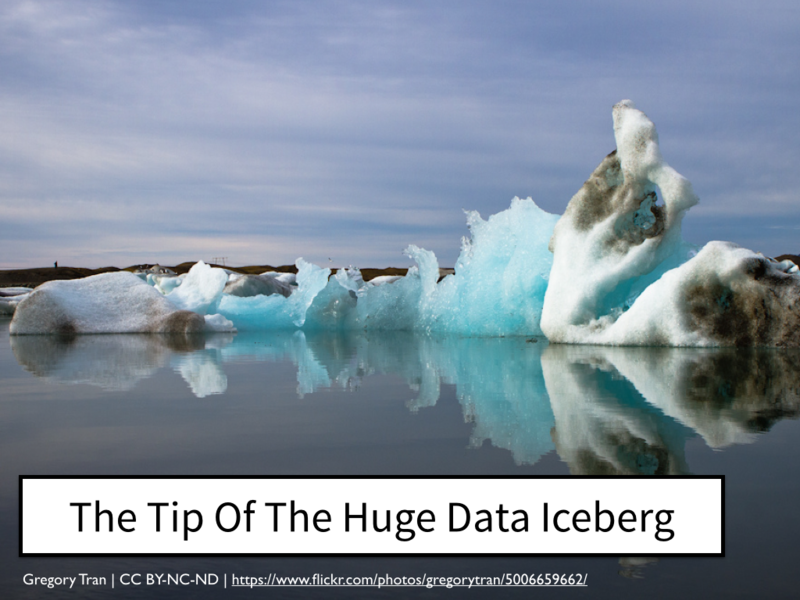 The map we see with our own eyes is but the tip of a massive information and data iceberg that lies below the surface of today’s digital maps. There’s only so much information you can show on a map, even with amazing cartography and almost infinite layers overlaying the map. 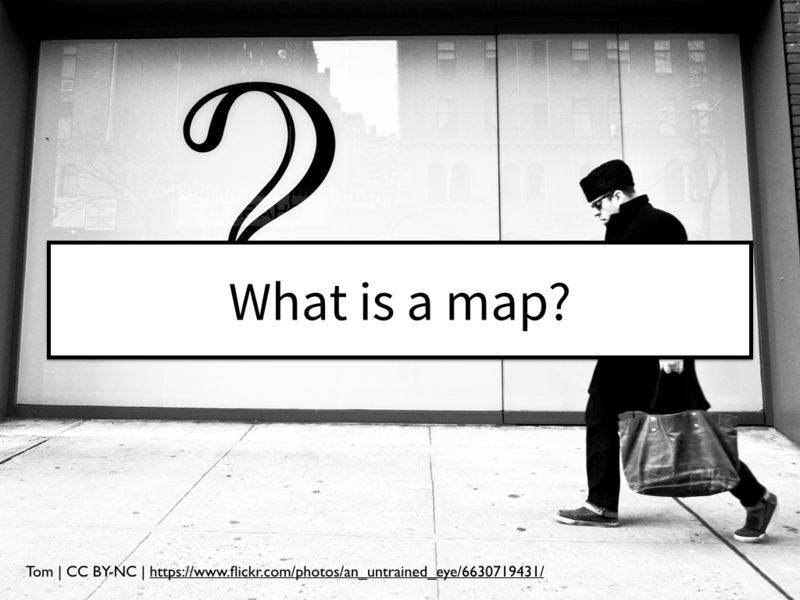 The future of maps is all about information and is producing not only tomorrow’s digital maps but also ways of using mapping data that until now have never even been considered before. 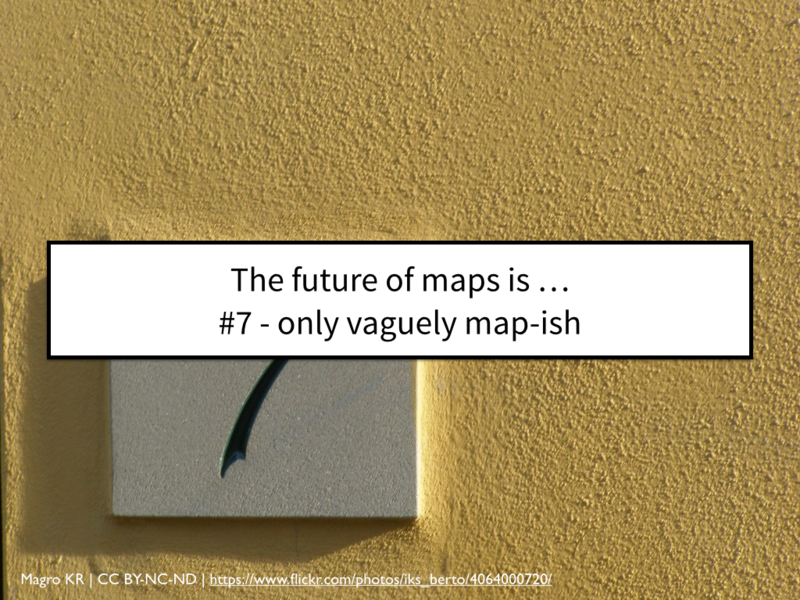 So thank you for listening; I hope you’ve enjoyed my very personal and purely subjective view of what the future of maps might look like.